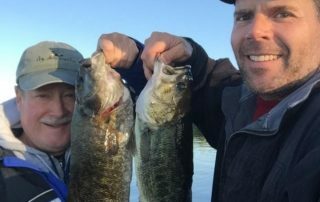 2016 was a great year for fishing! 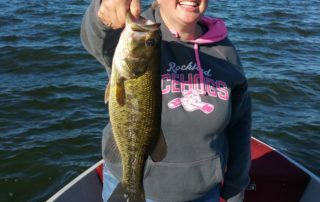 Checkout some of the photos that guests sent us. 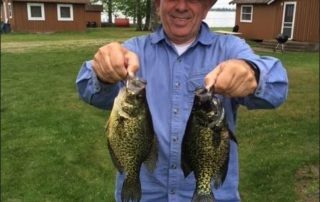 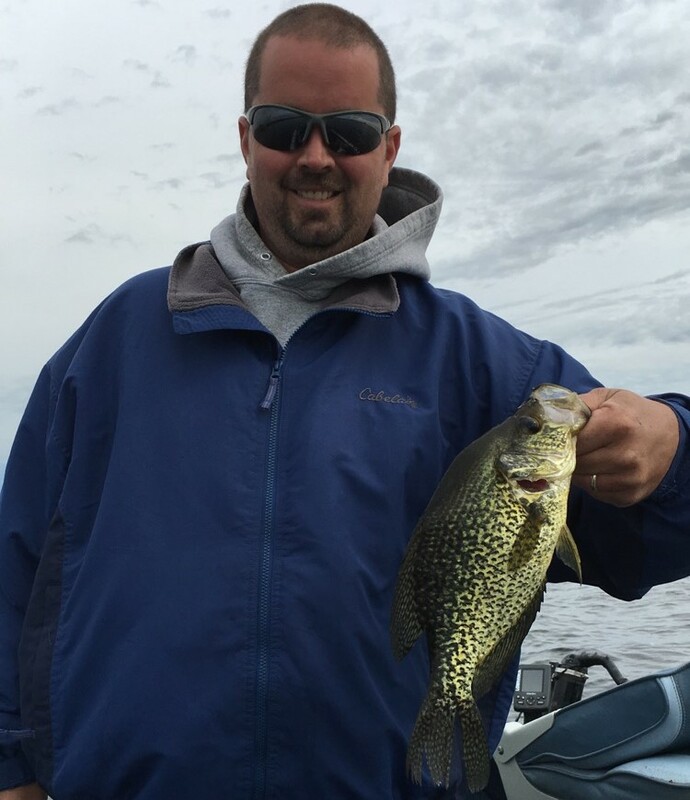 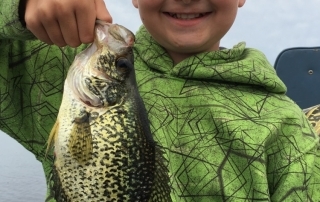 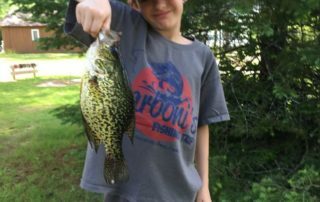 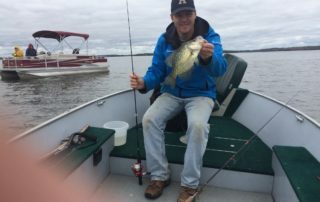 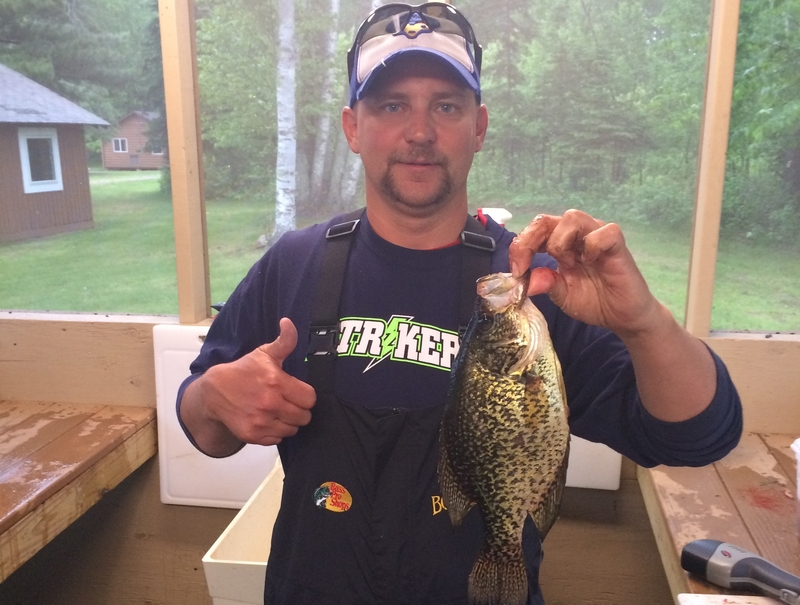 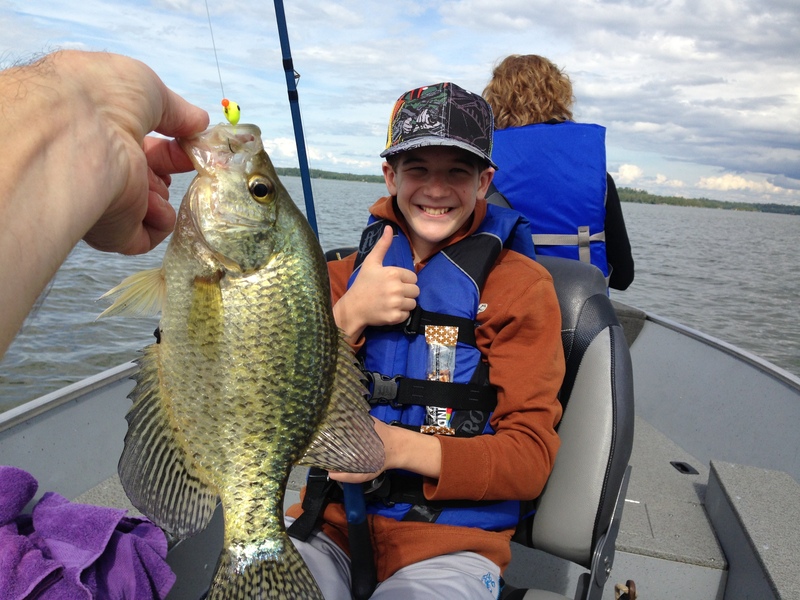 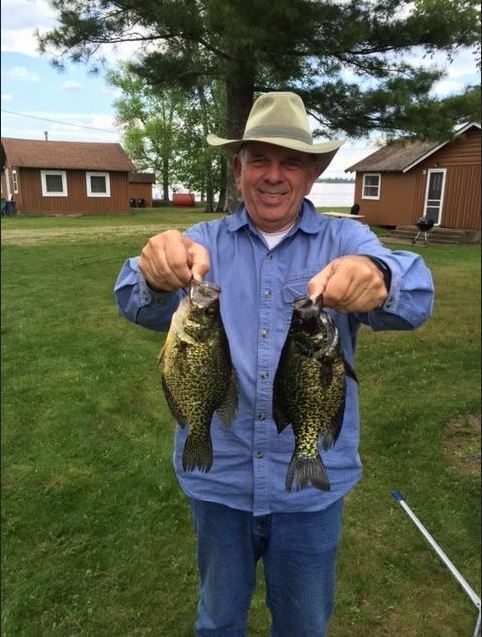 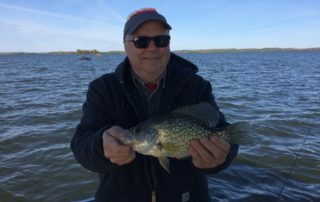 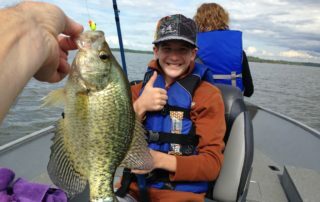 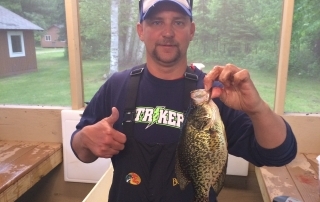 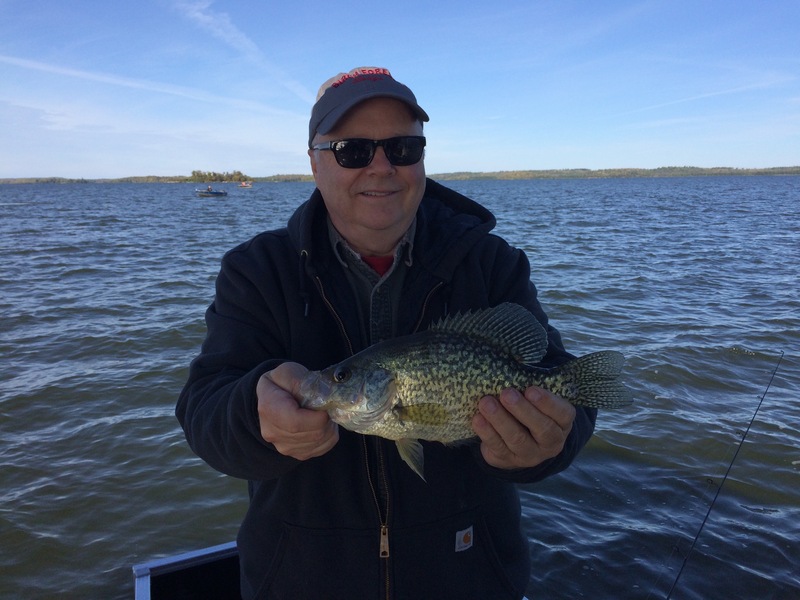 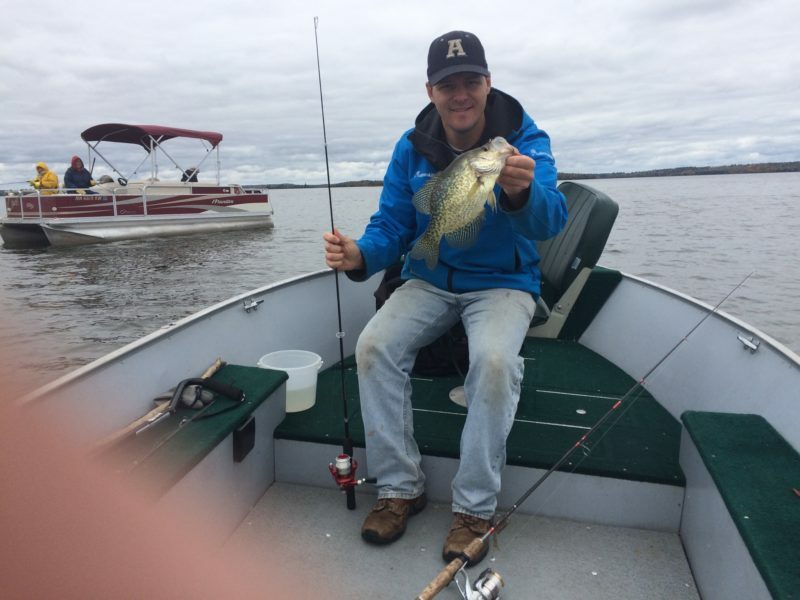 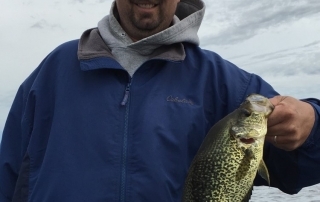 Lots of great Crappie caught in 2016, especially in the spring (May and early June), late August and of course September. 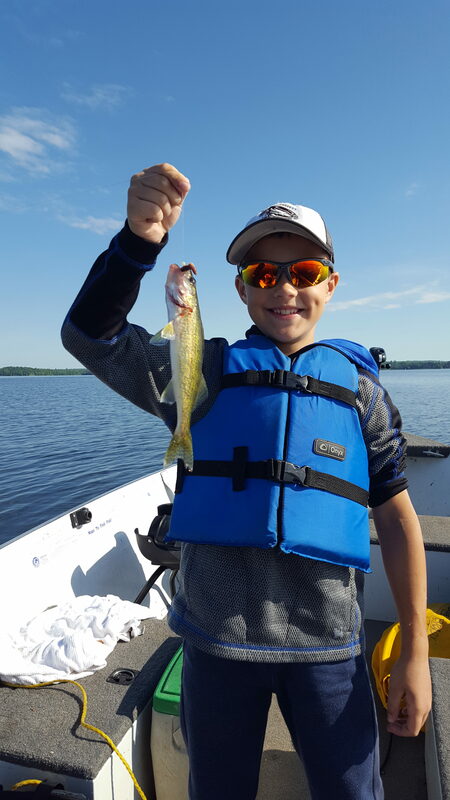 As usual Pelican Lake produced several very large Walleye during our 2016 fishing season. 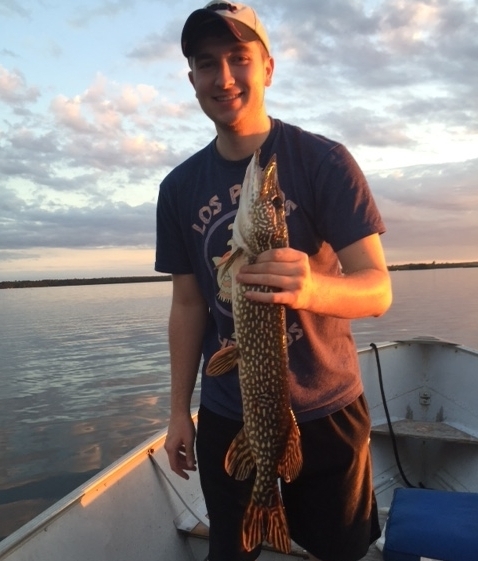 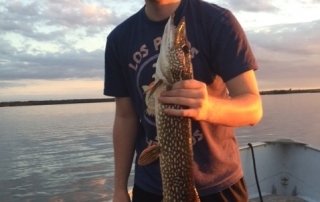 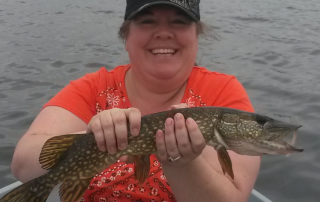 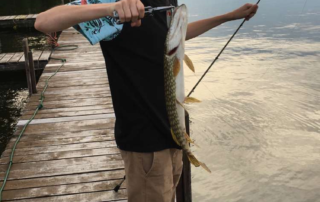 The largest one came in at just a smidge over 30 inches! 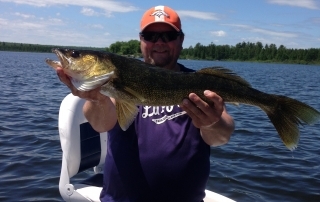 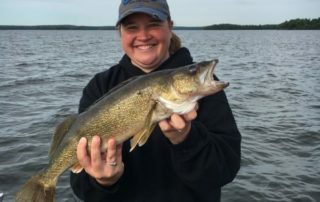 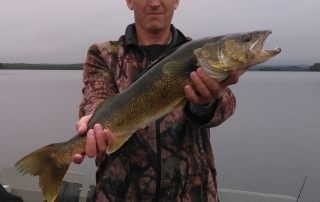 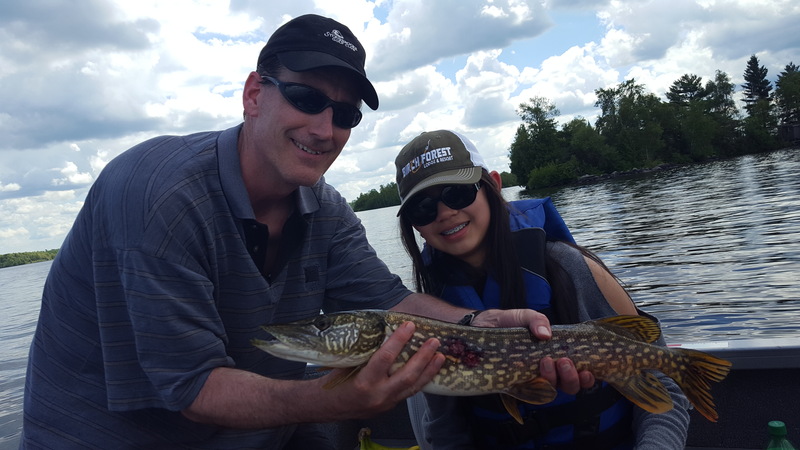 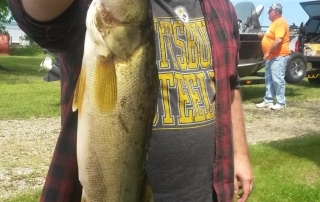 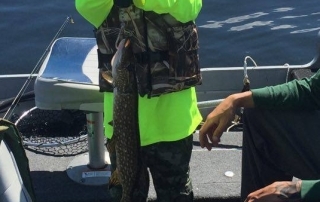 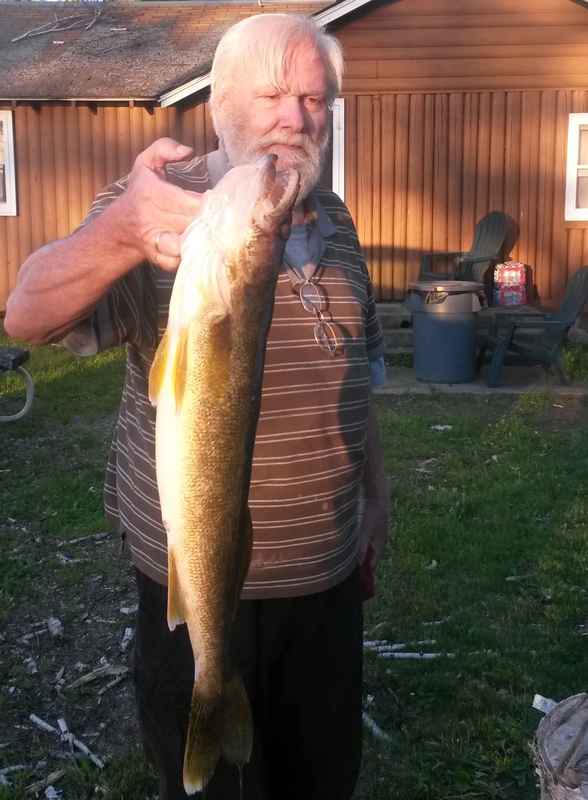 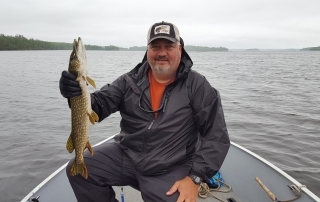 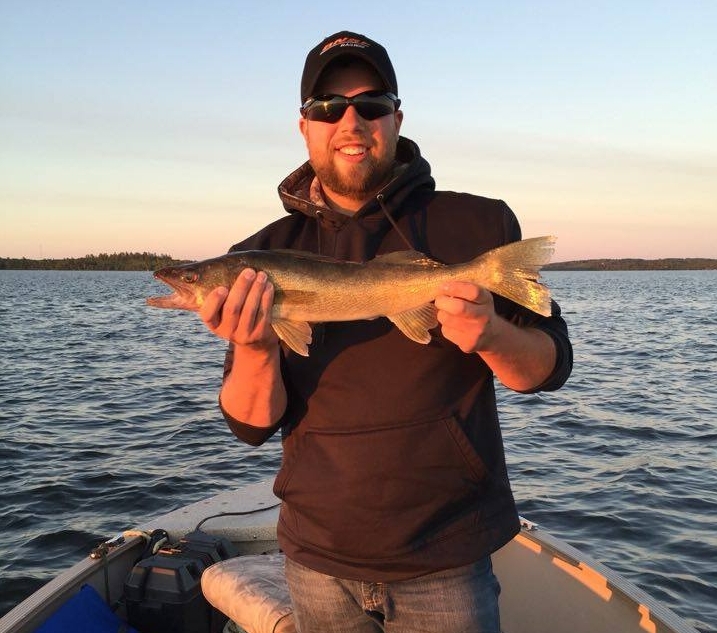 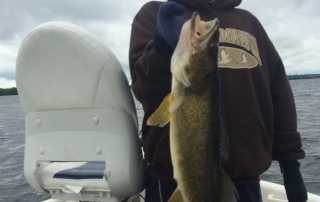 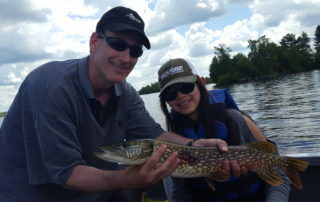 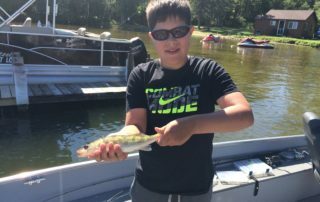 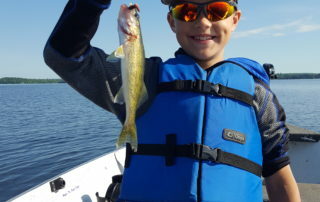 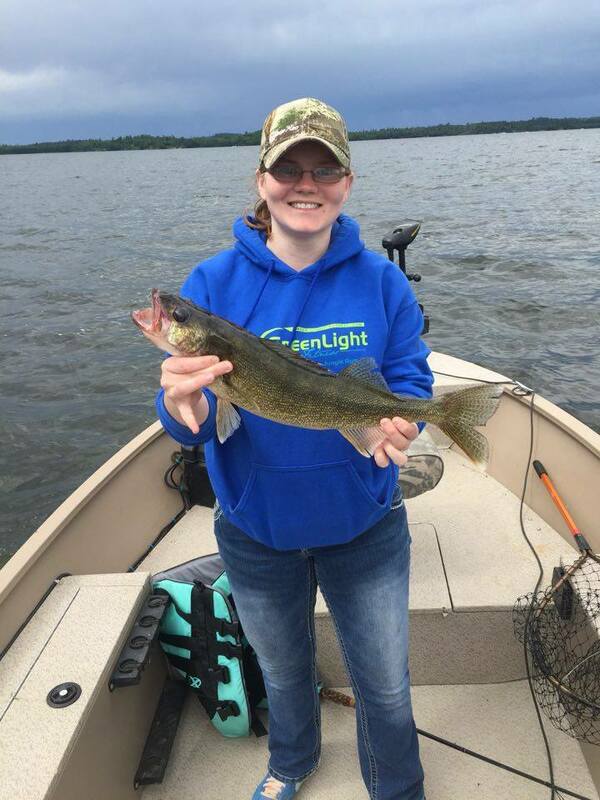 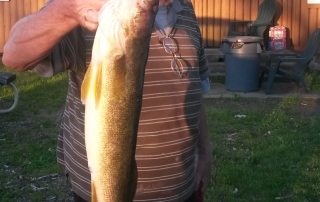 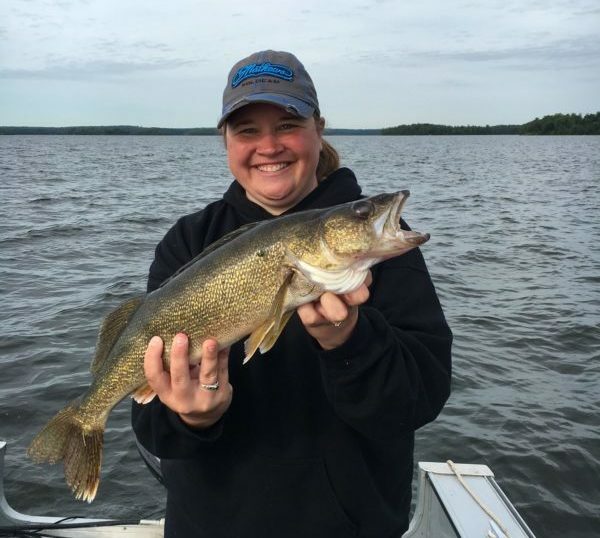 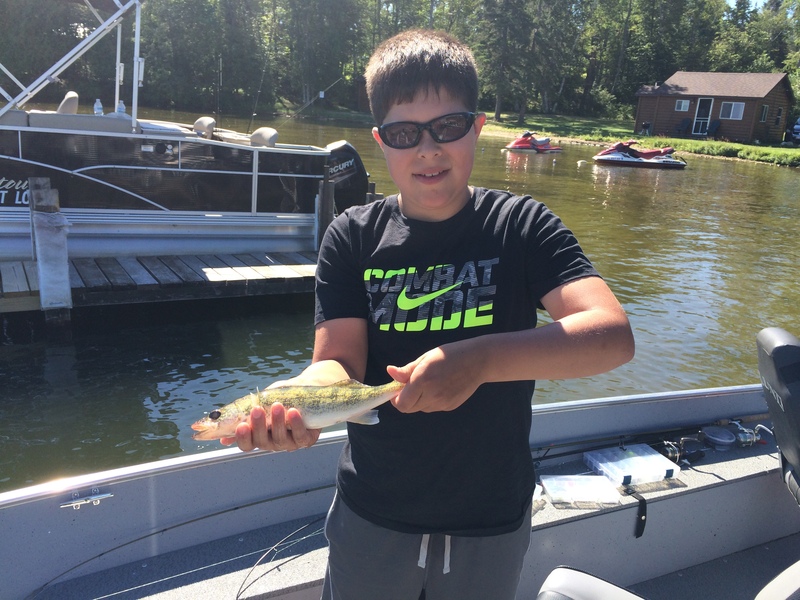 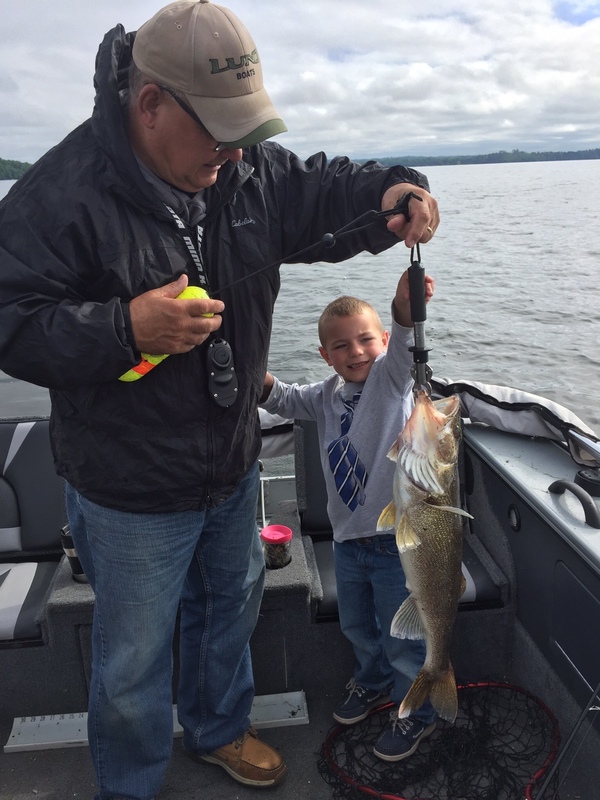 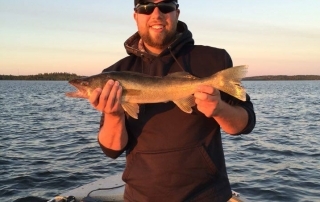 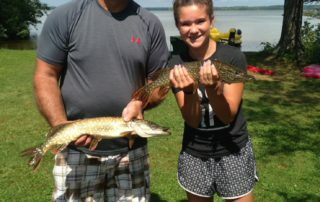 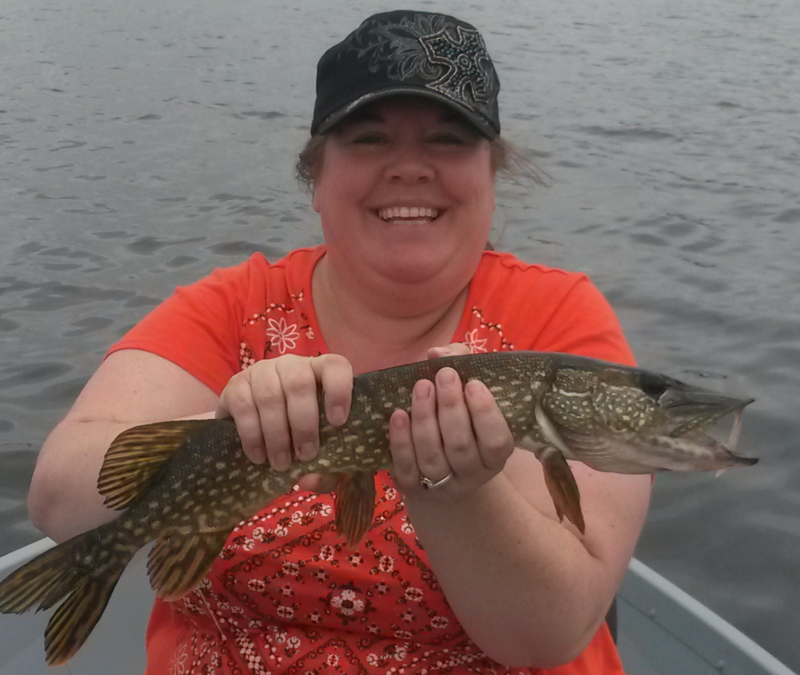 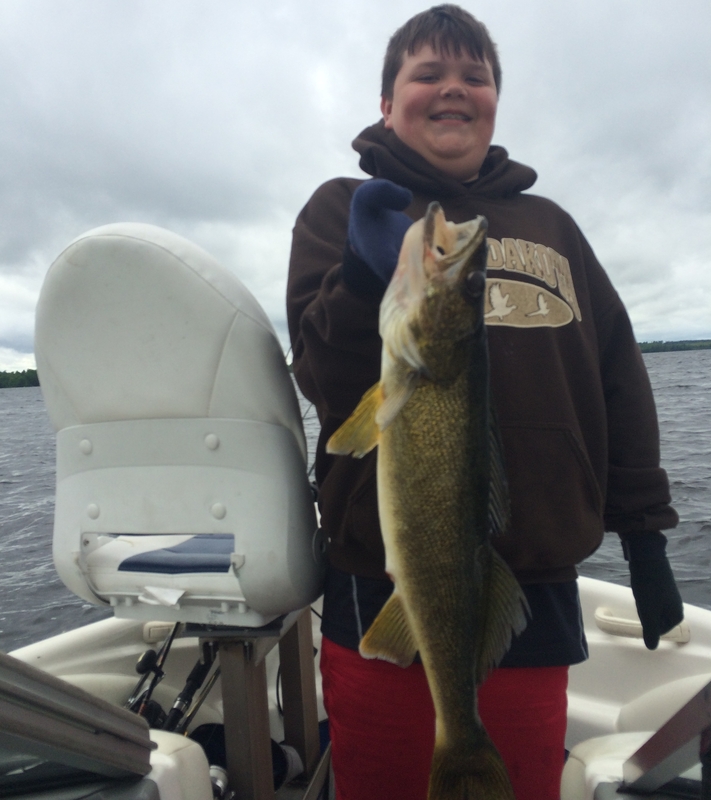 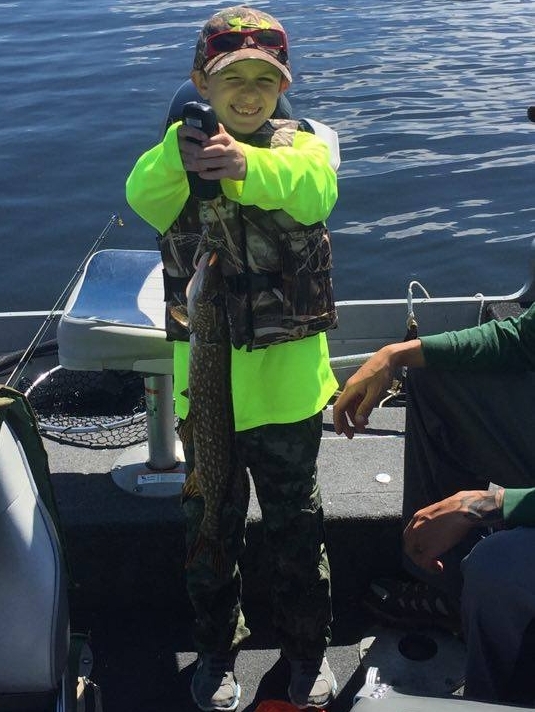 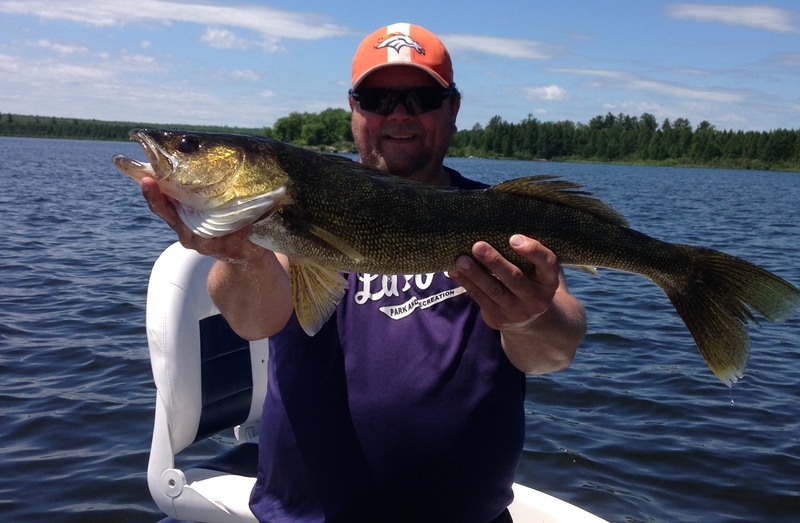 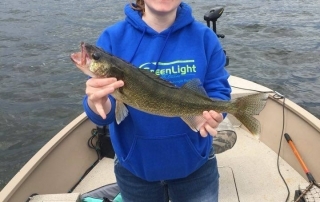 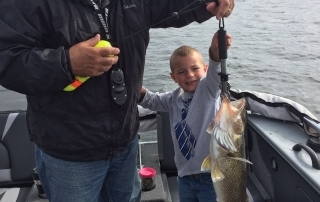 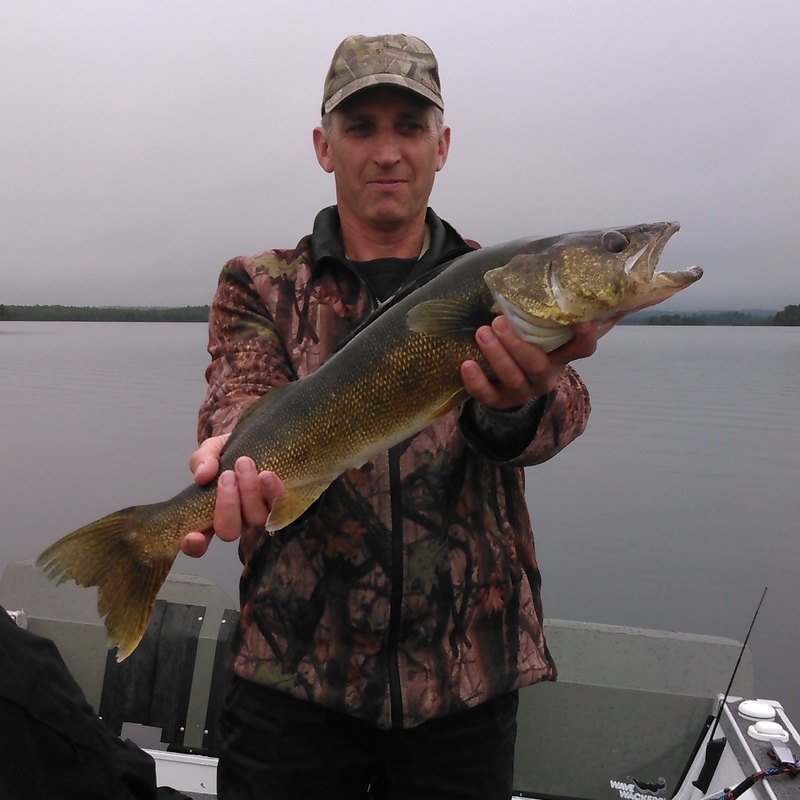 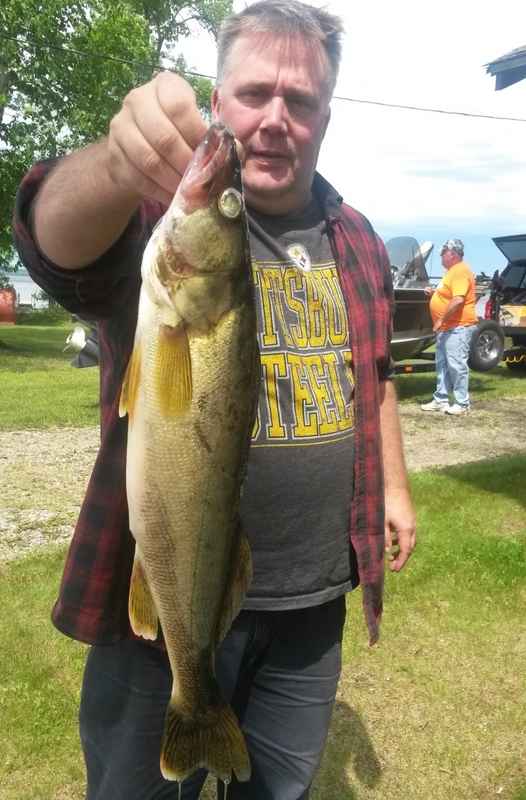 Most of the nice Walleye were caught in May, June and late fall. 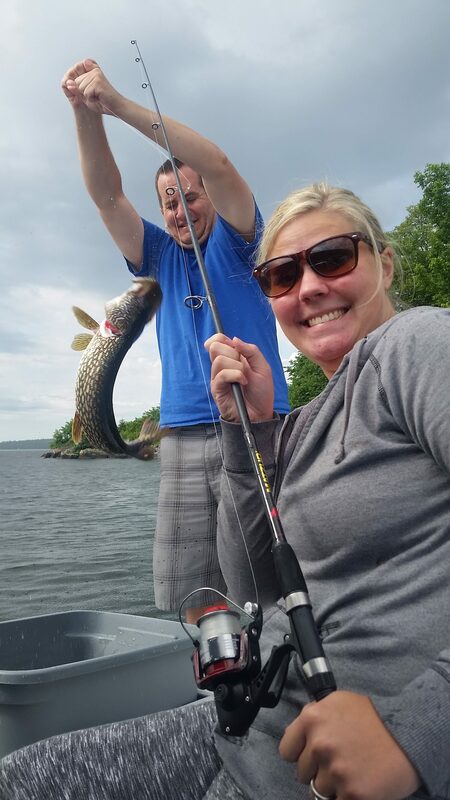 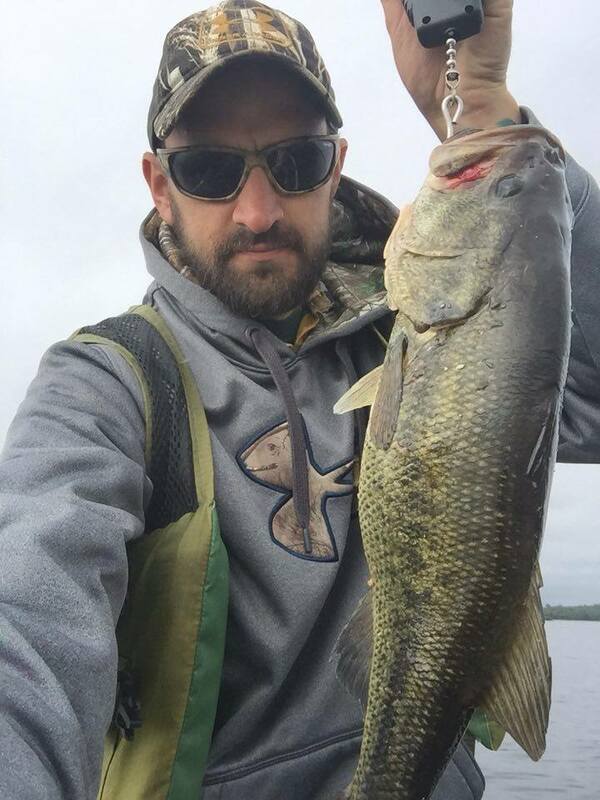 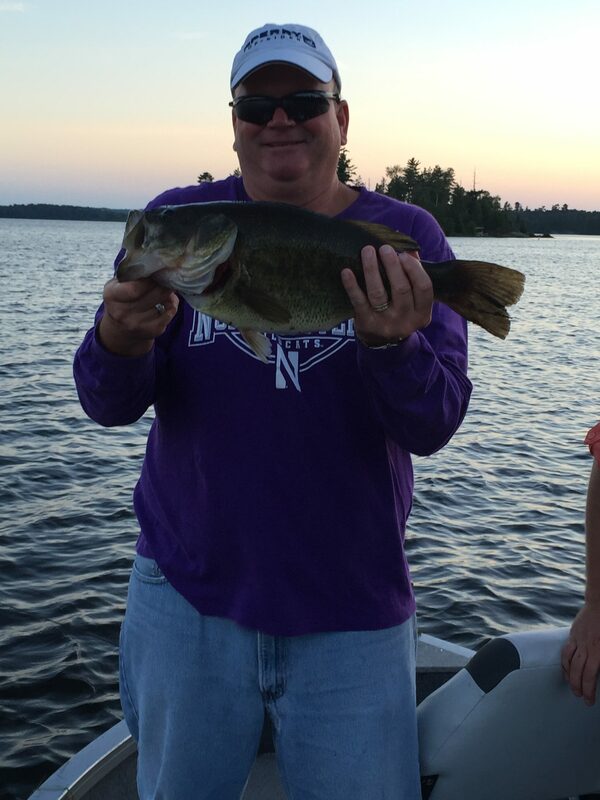 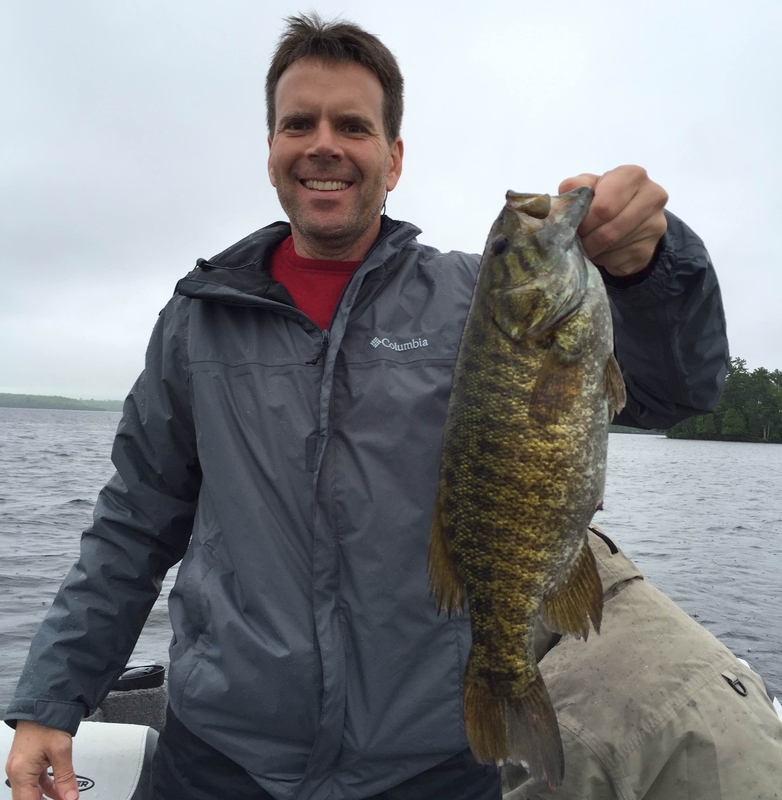 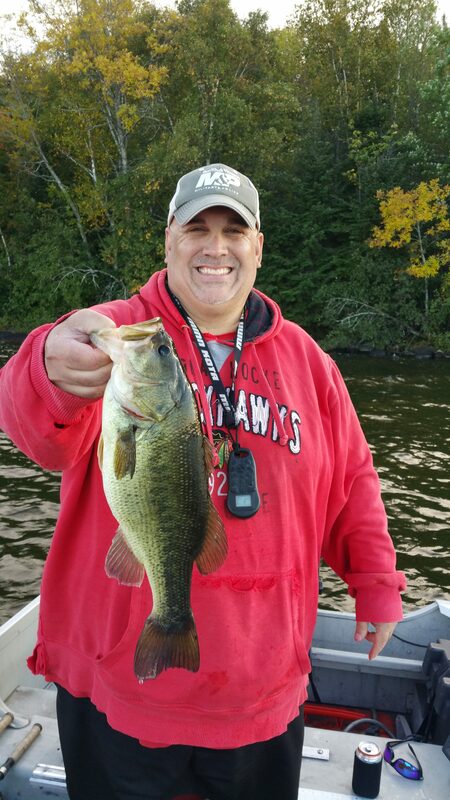 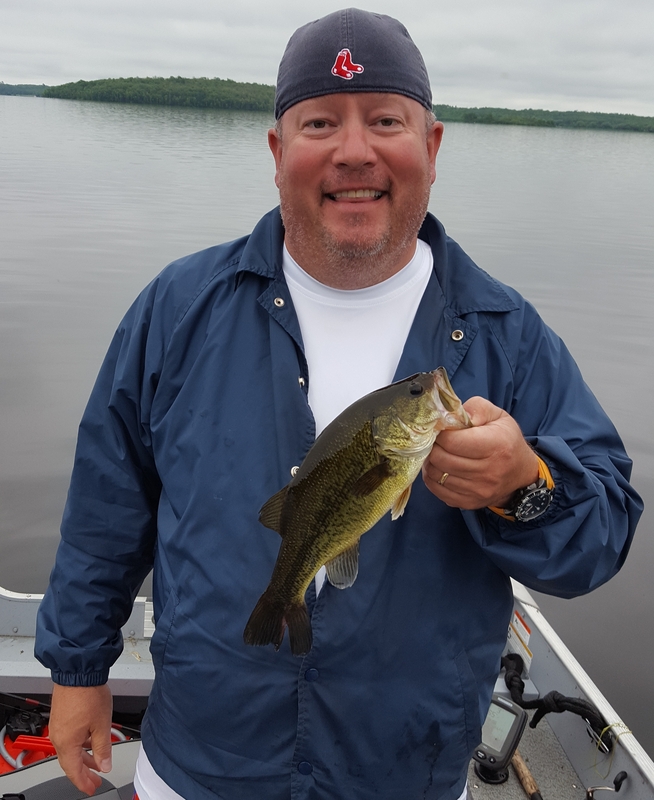 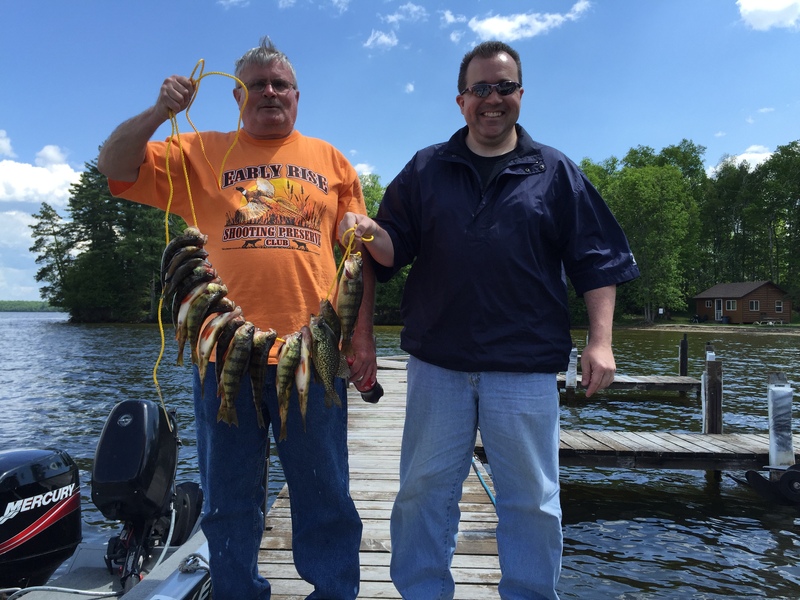 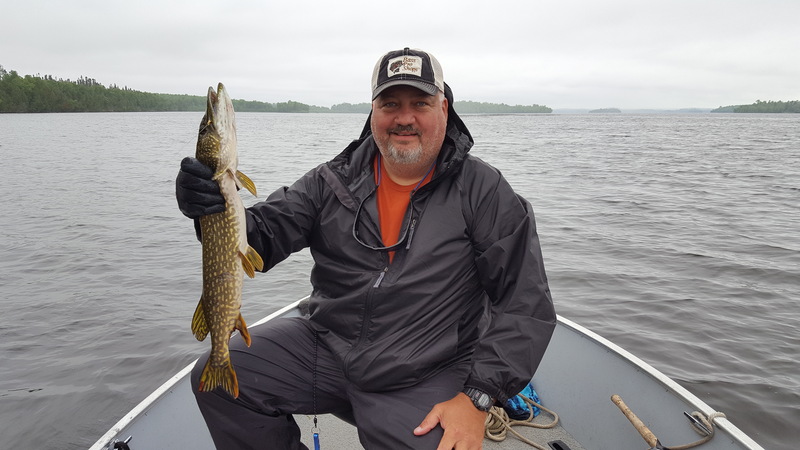 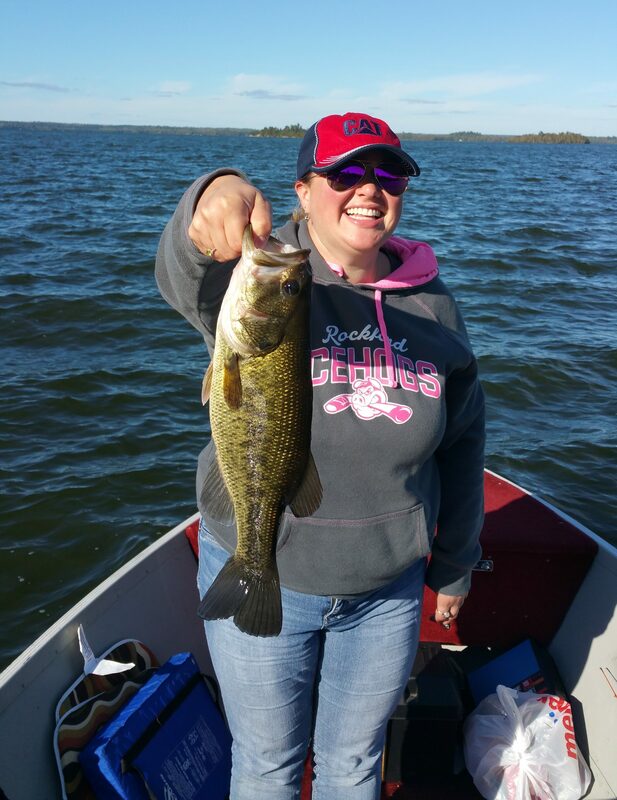 I often argue that there is no better place to fish for large Bass in Northern Minnesota than here on Pelican Lake. 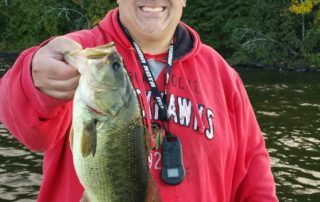 In the spring we catch lunkers like these on simple rigs with leeches, middle of the summer we often use spinners and in the fall swim jigs. 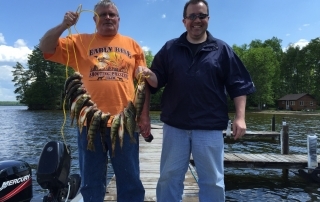 Pelican Lake is often referred to as the “Home of the Giant Bluegill”. 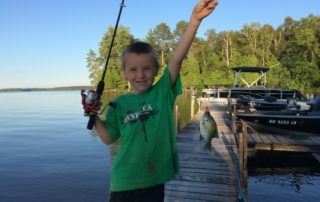 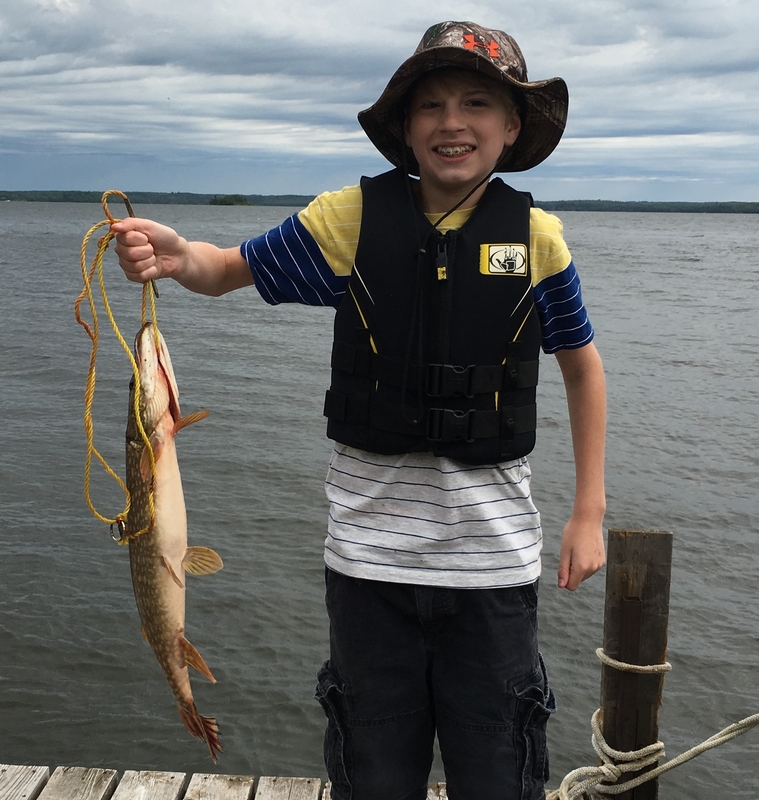 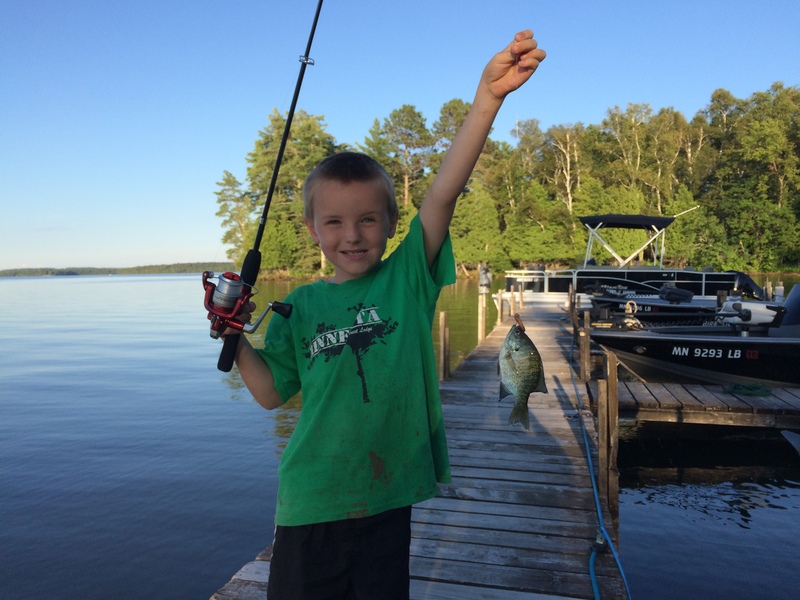 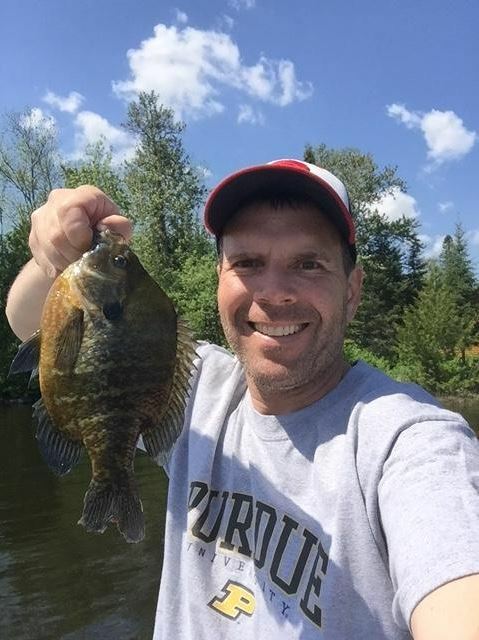 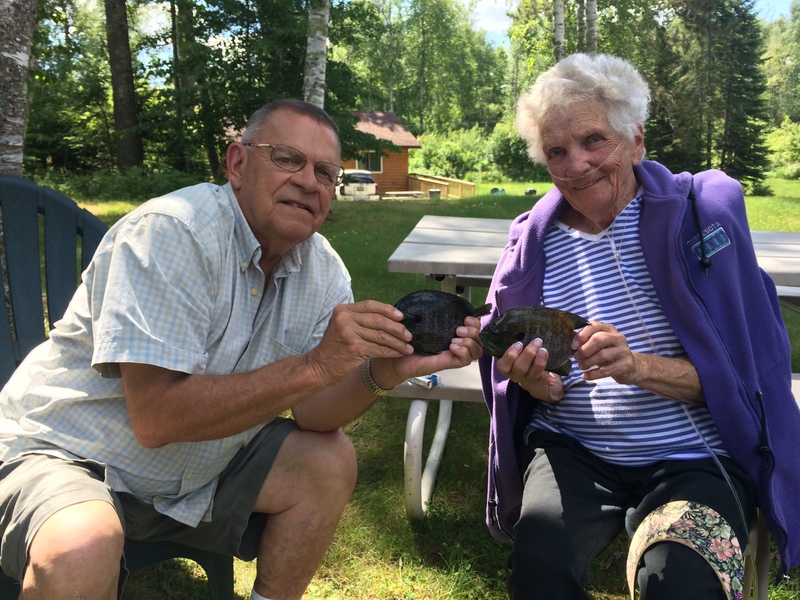 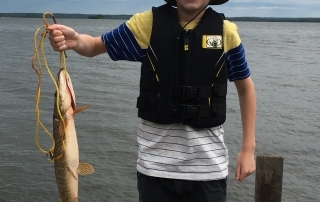 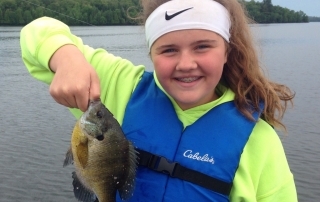 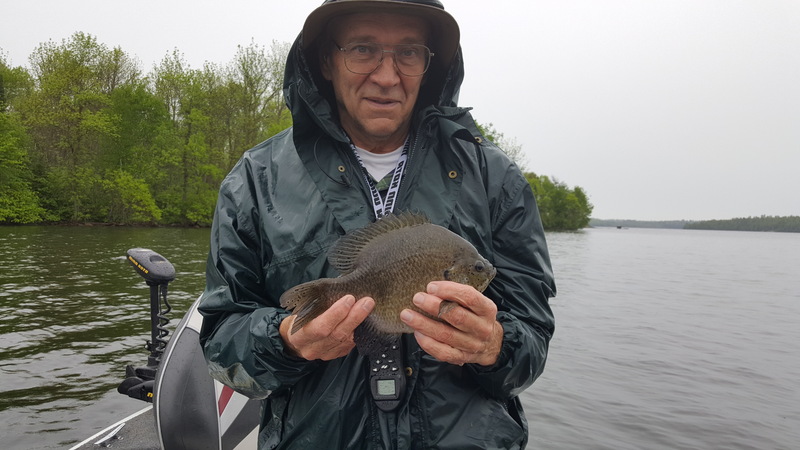 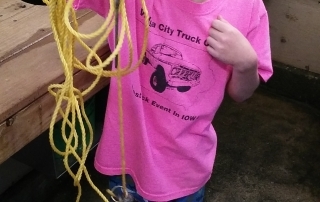 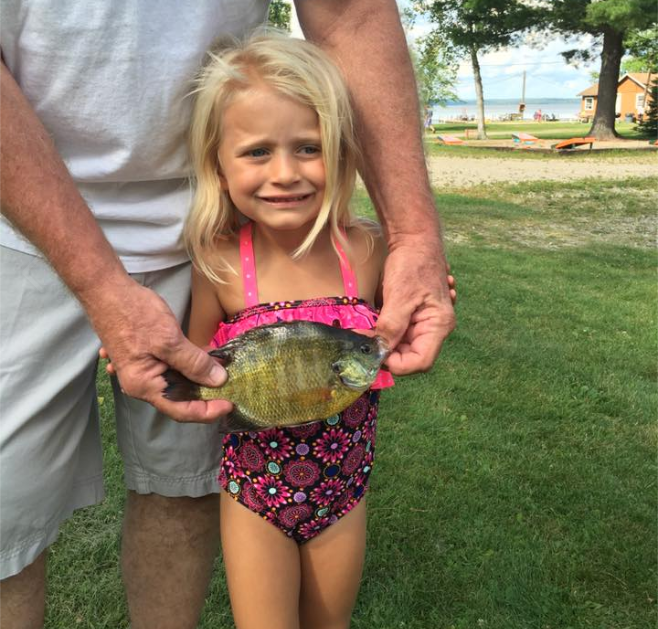 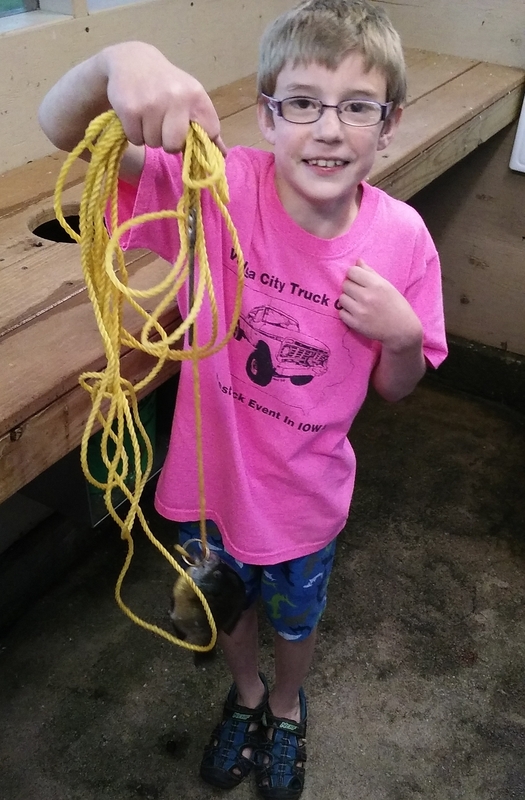 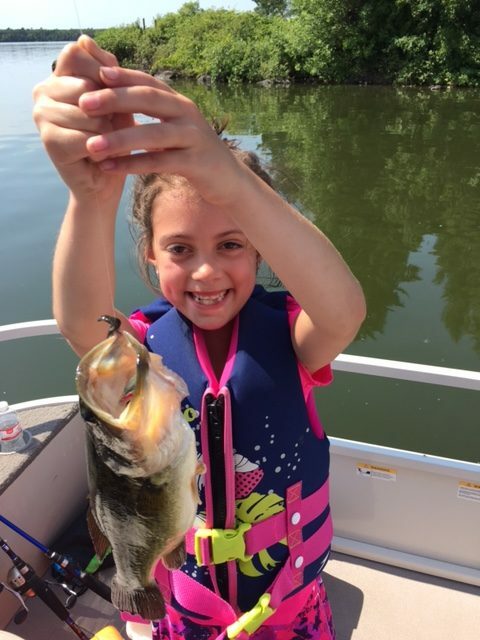 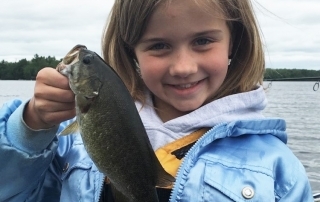 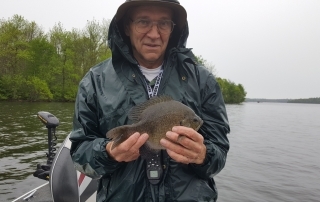 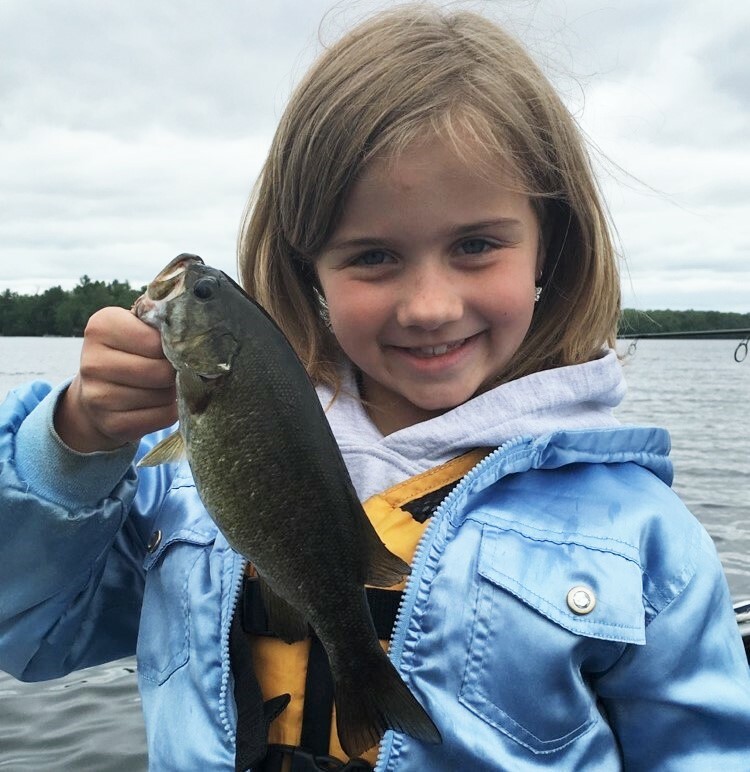 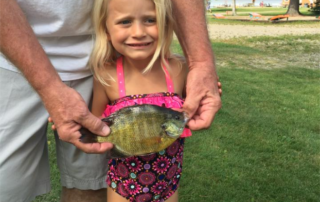 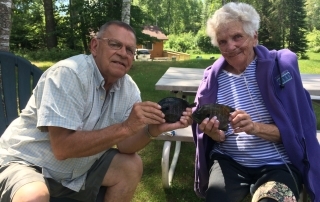 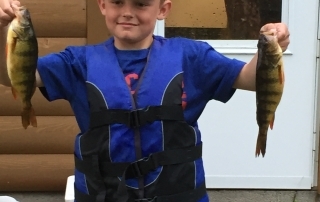 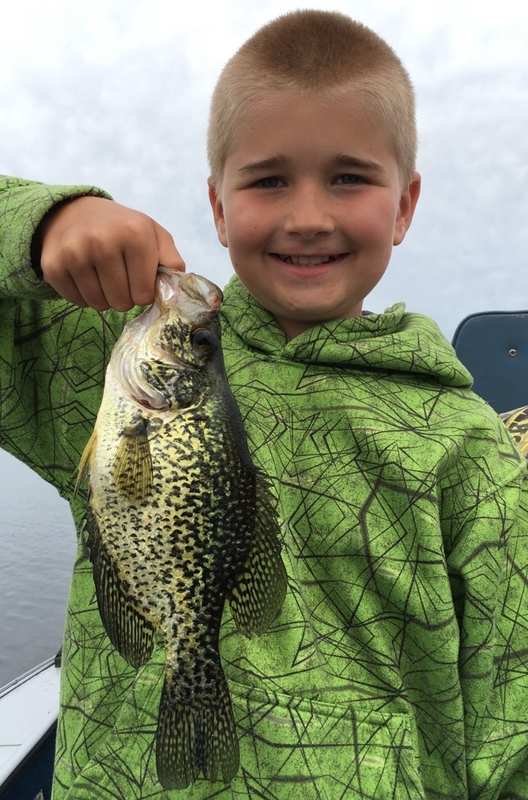 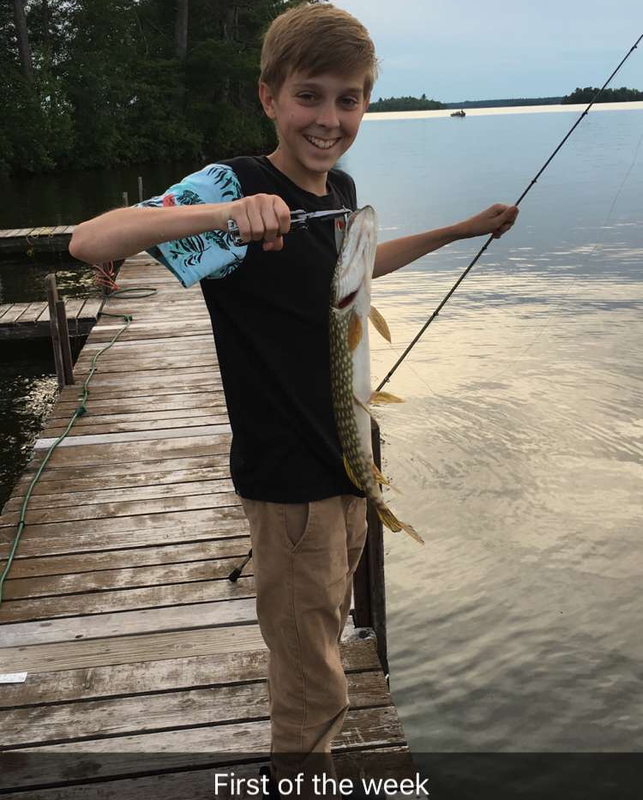 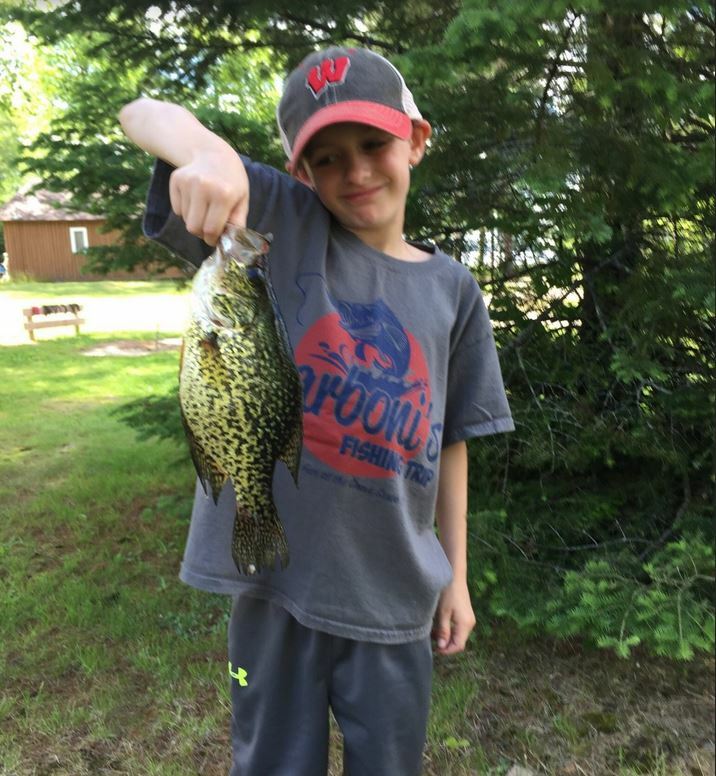 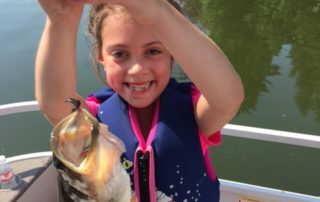 Not only do kids and adults enjoy catching bluegill on one of our docks all summer long, but many fisherman enjoy heading out and catching one of these giant Bluegills. 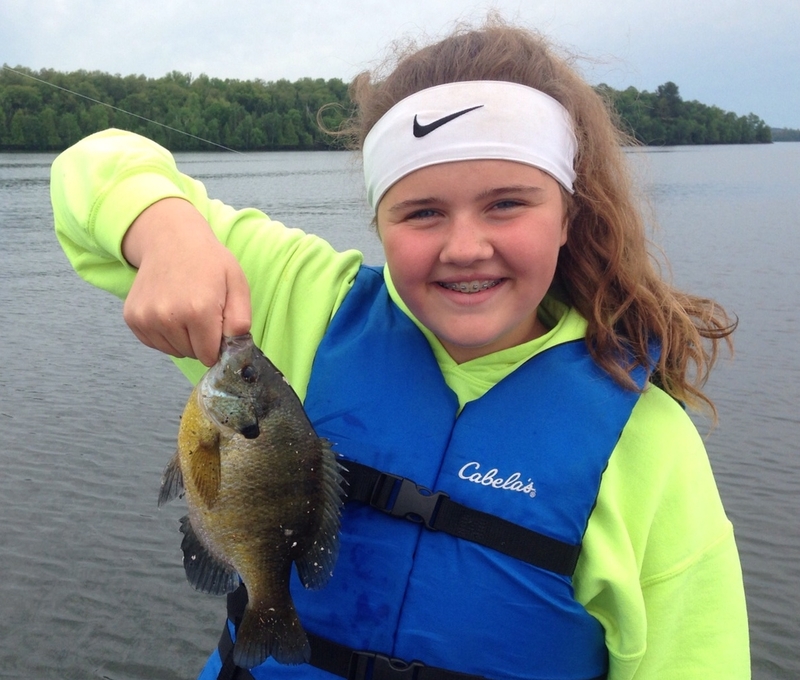 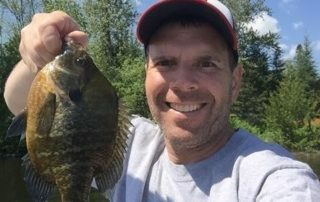 Often found along shorelines you can catch Bluegills most anytime with a bobber or a simple hook and a worm. 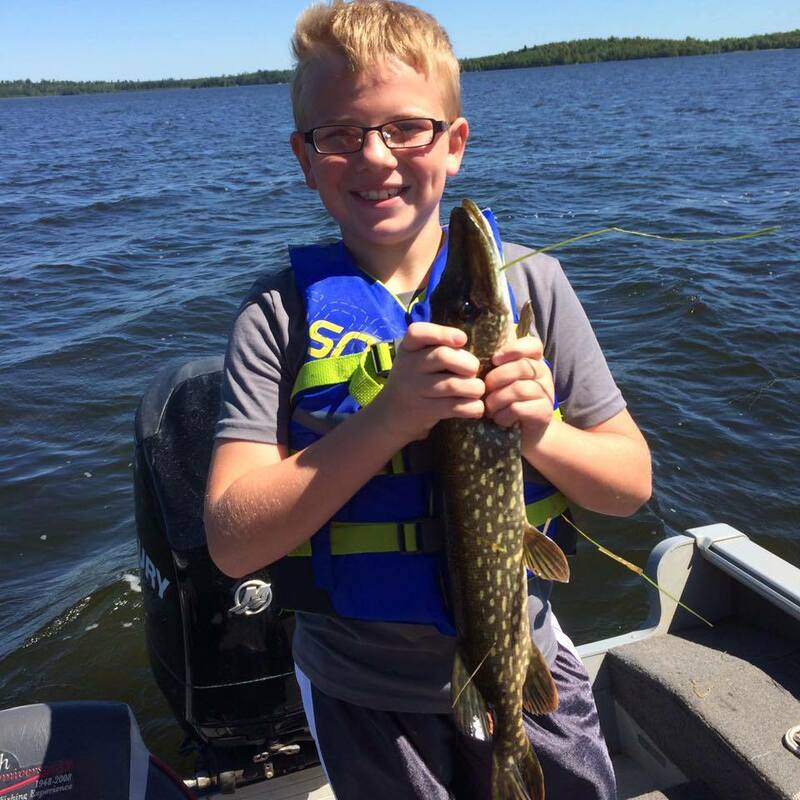 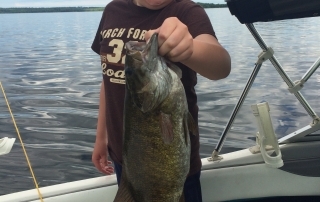 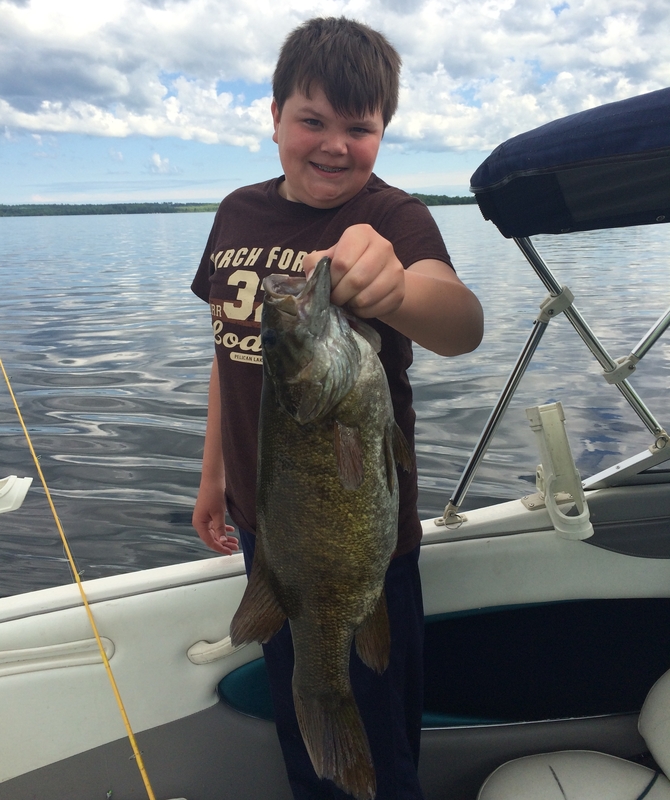 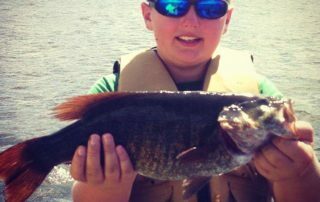 Along with an abundant number of Largemouth Bass, Pelican Lake is also an excellent fishery for Smallmouth Bass. 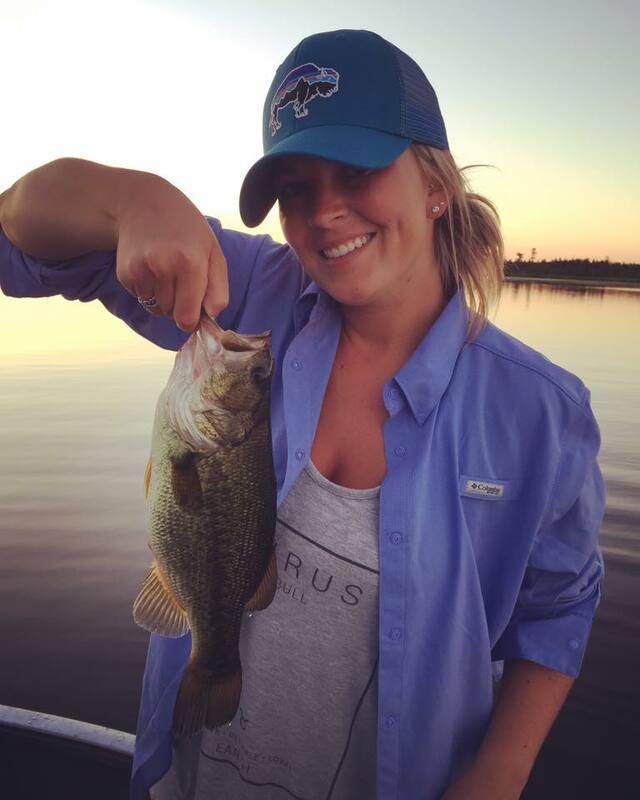 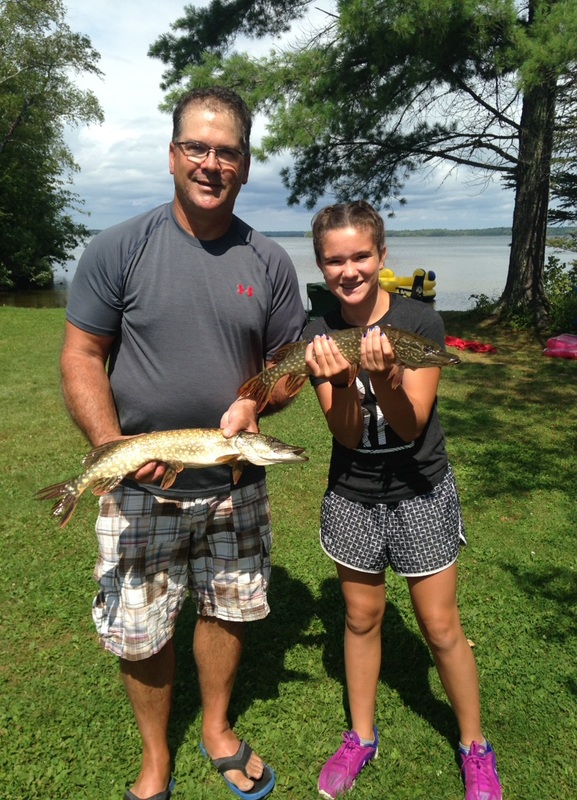 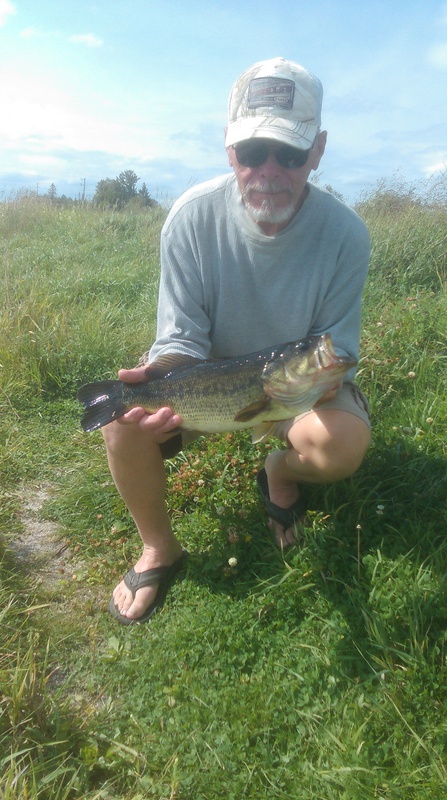 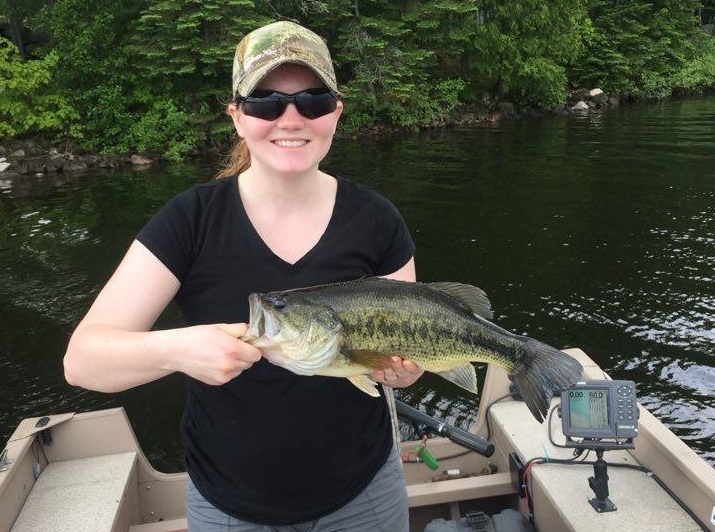 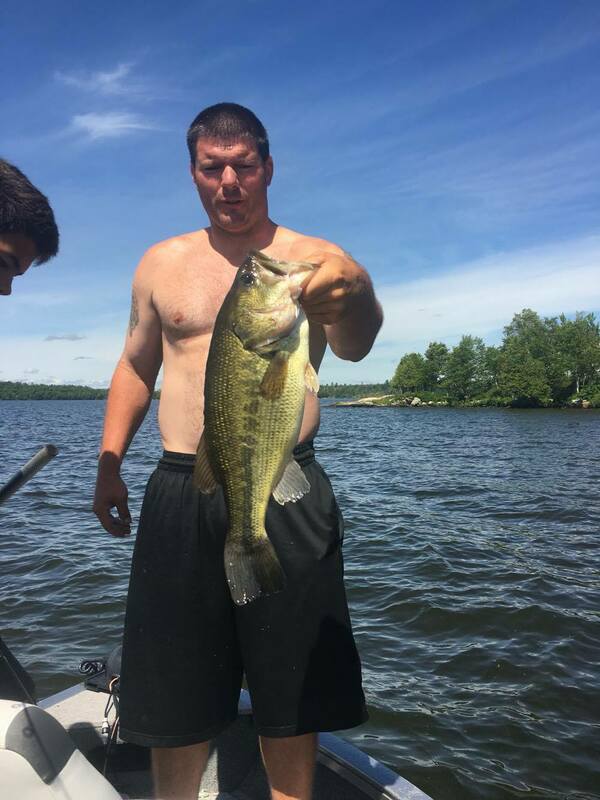 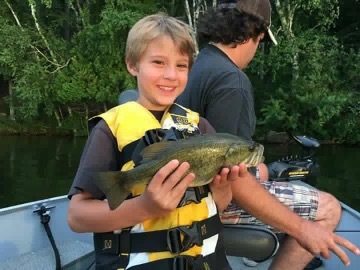 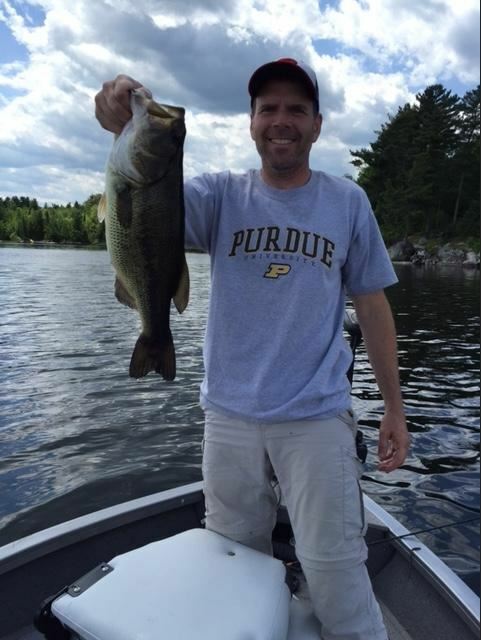 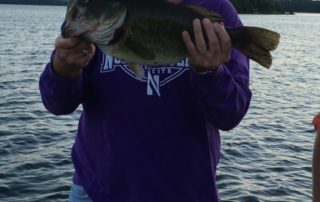 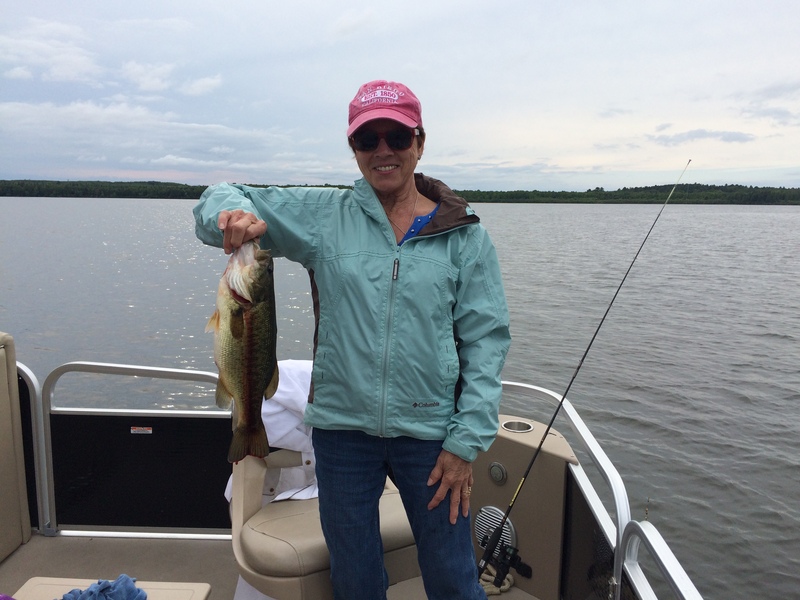 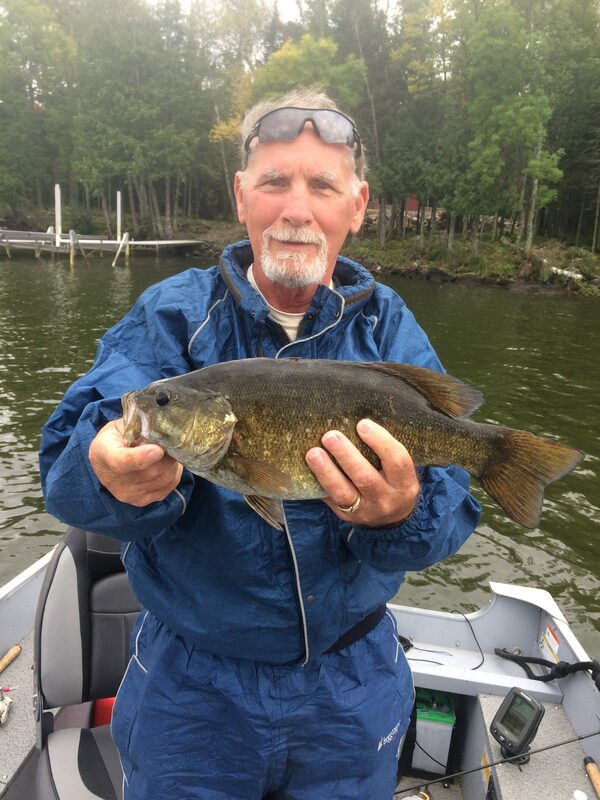 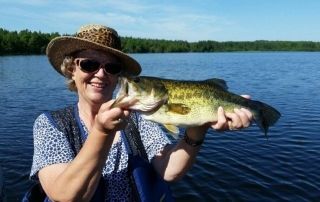 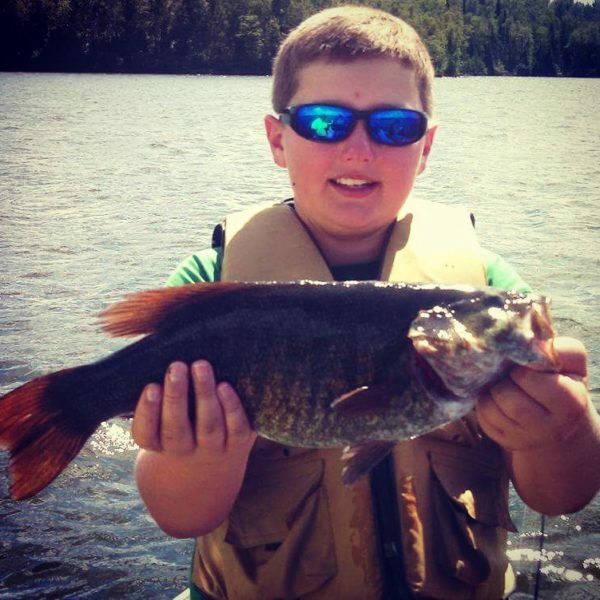 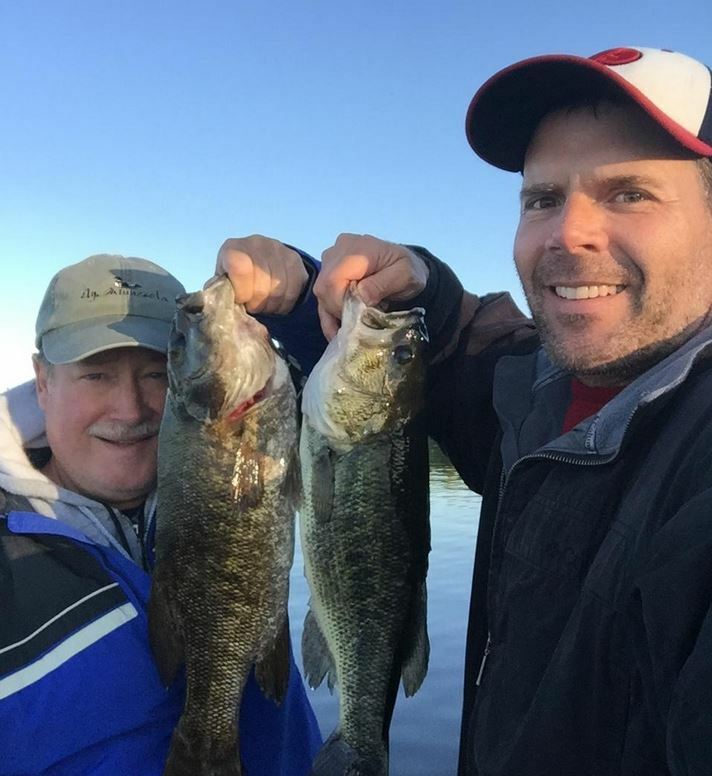 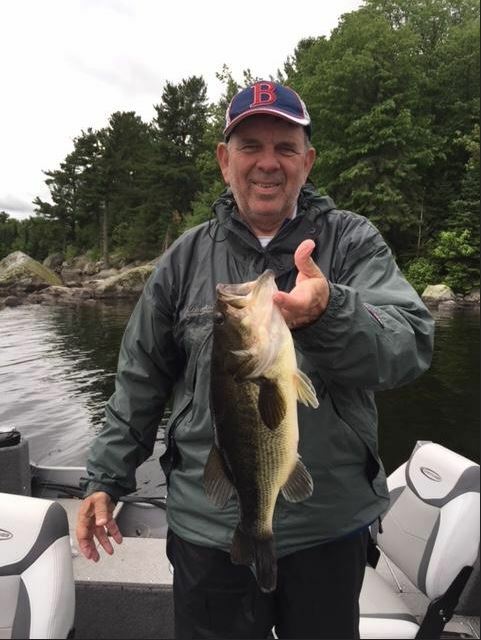 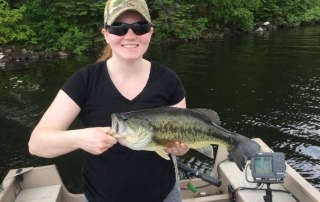 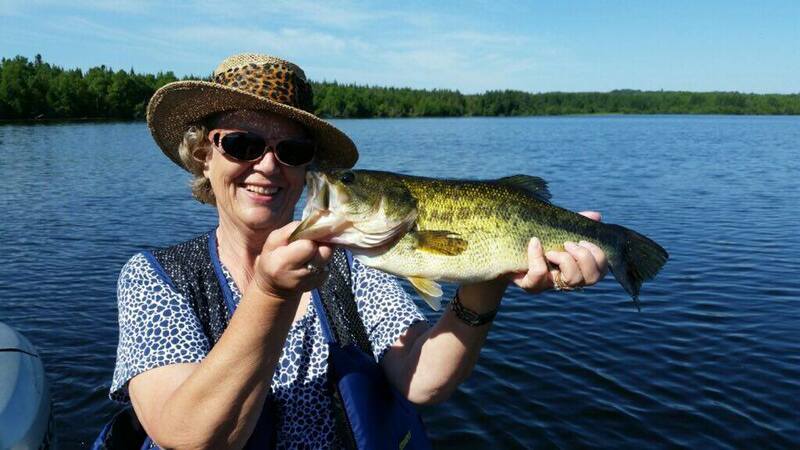 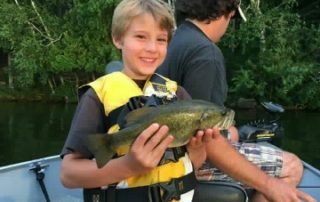 Numerous 3, 4 and 5 pound bass are caught weekly at Birch Forest Lodge. 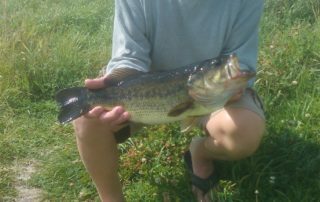 Occasionally we even see a 6 pounder come in! 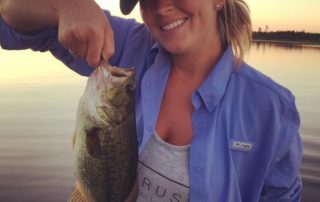 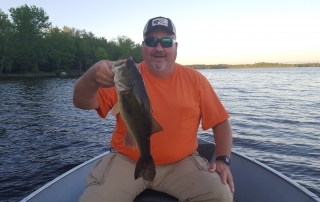 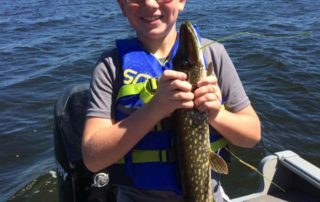 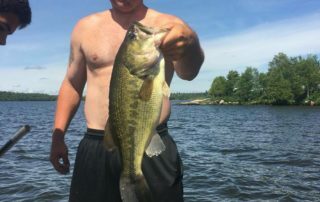 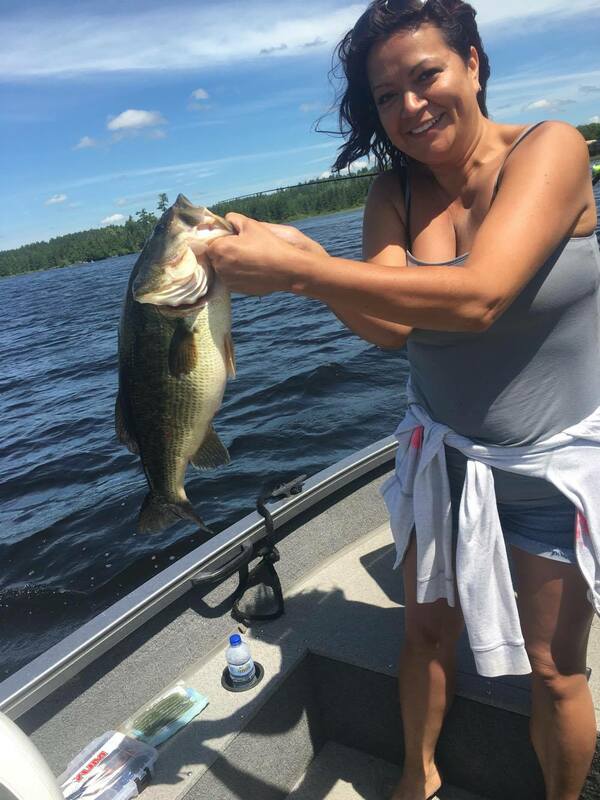 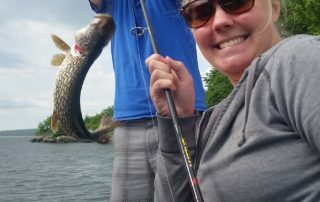 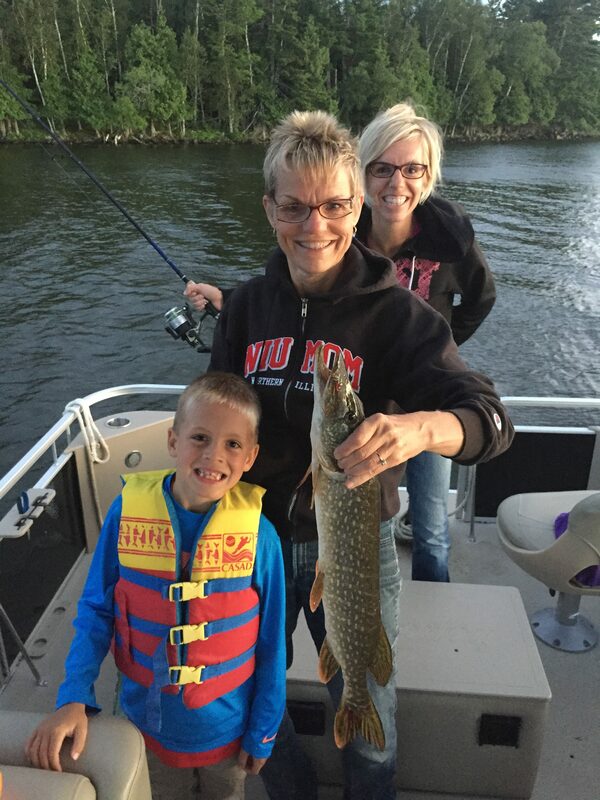 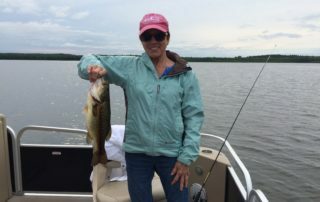 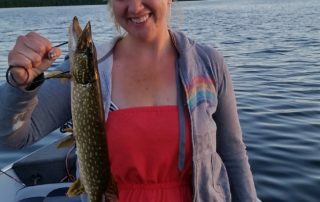 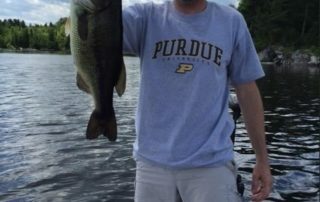 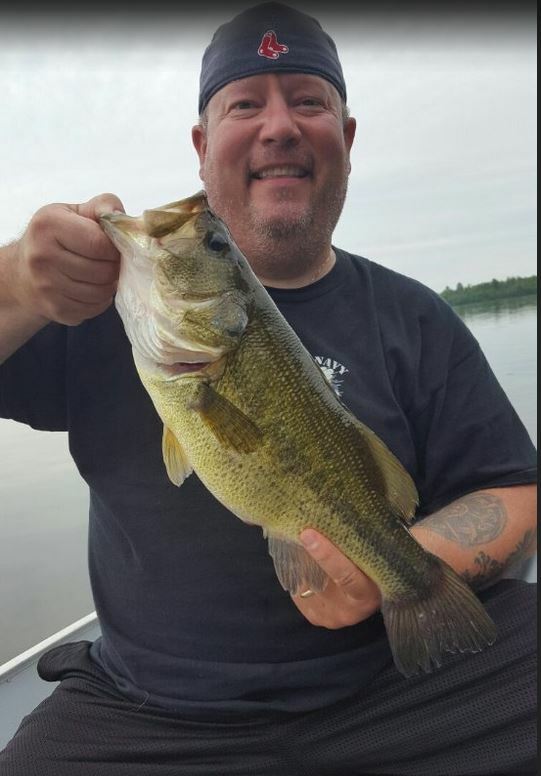 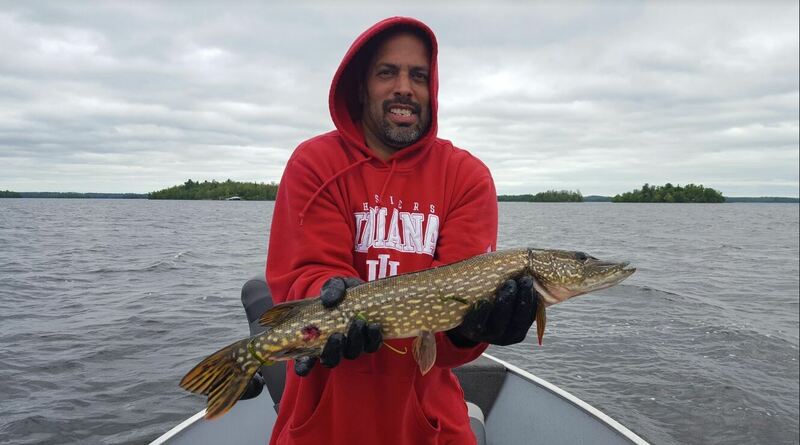 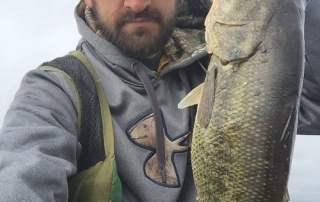 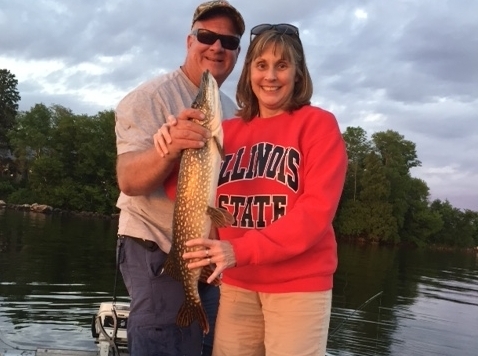 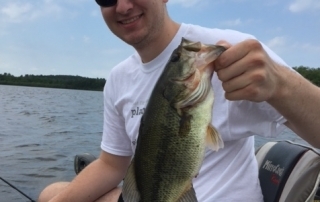 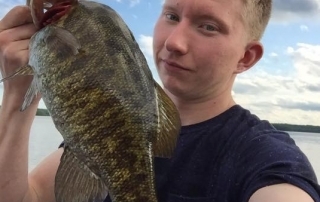 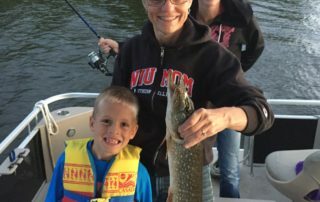 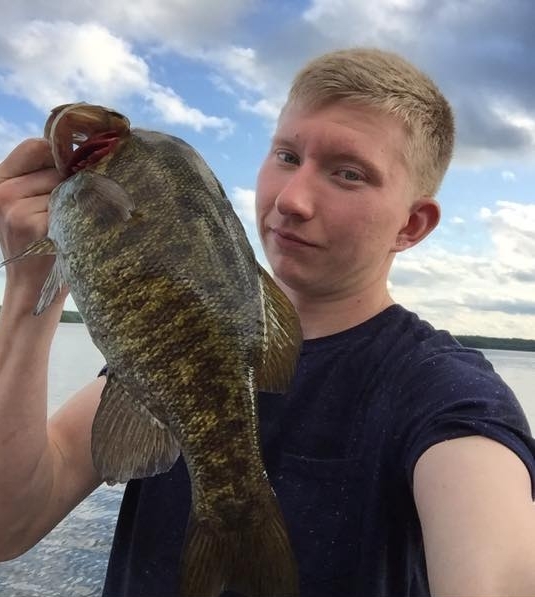 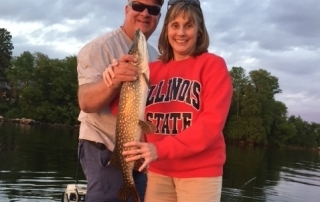 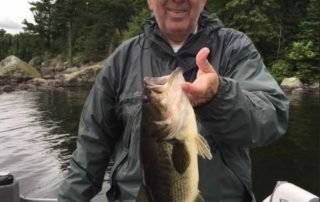 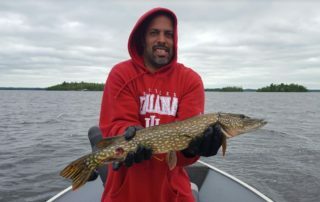 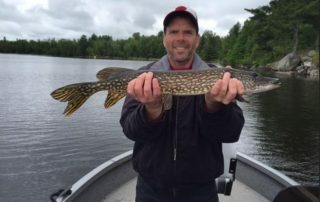 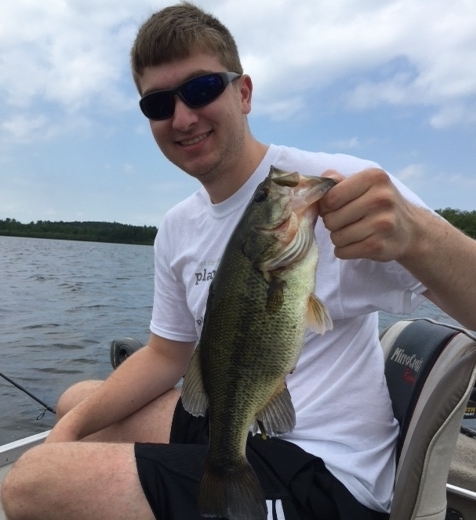 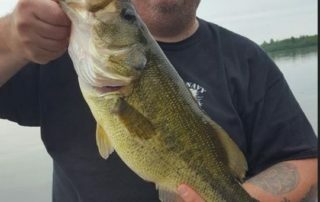 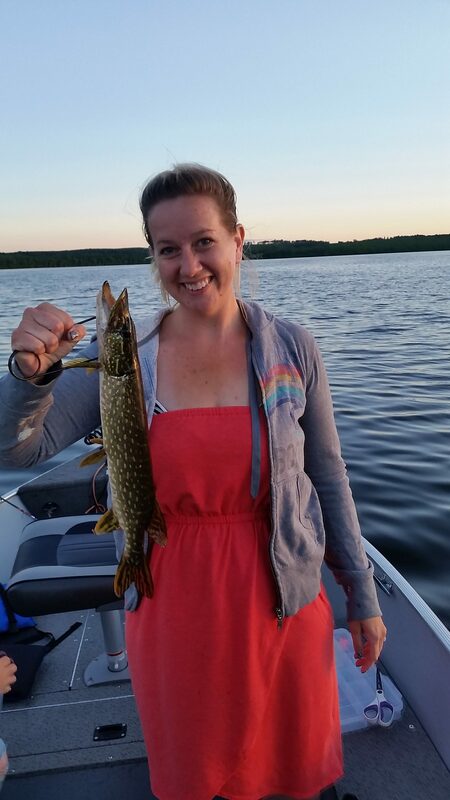 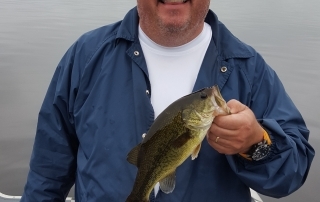 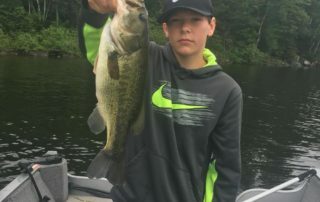 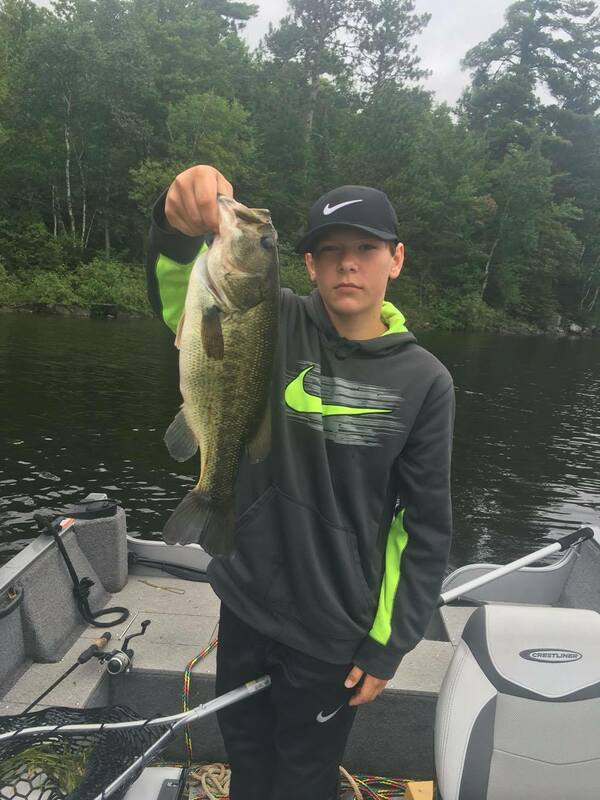 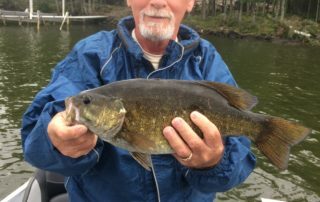 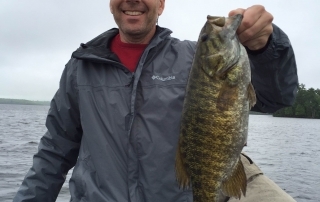 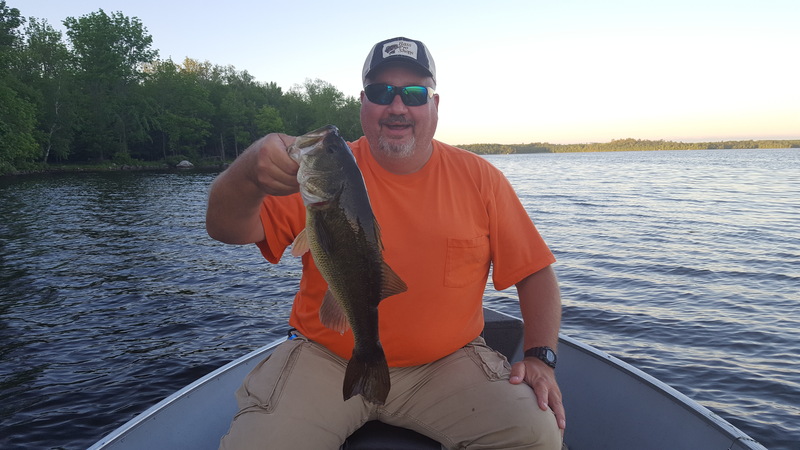 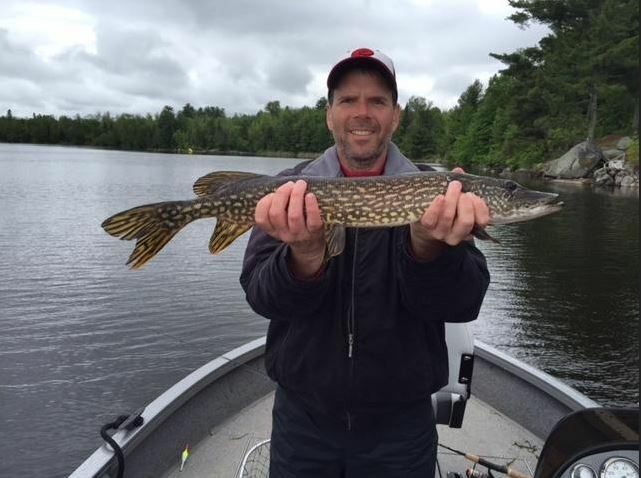 Keep in mind, there is a slot limit on the lake and all Bass between the size of 14 and 20 inches must be immediately released back into the water. 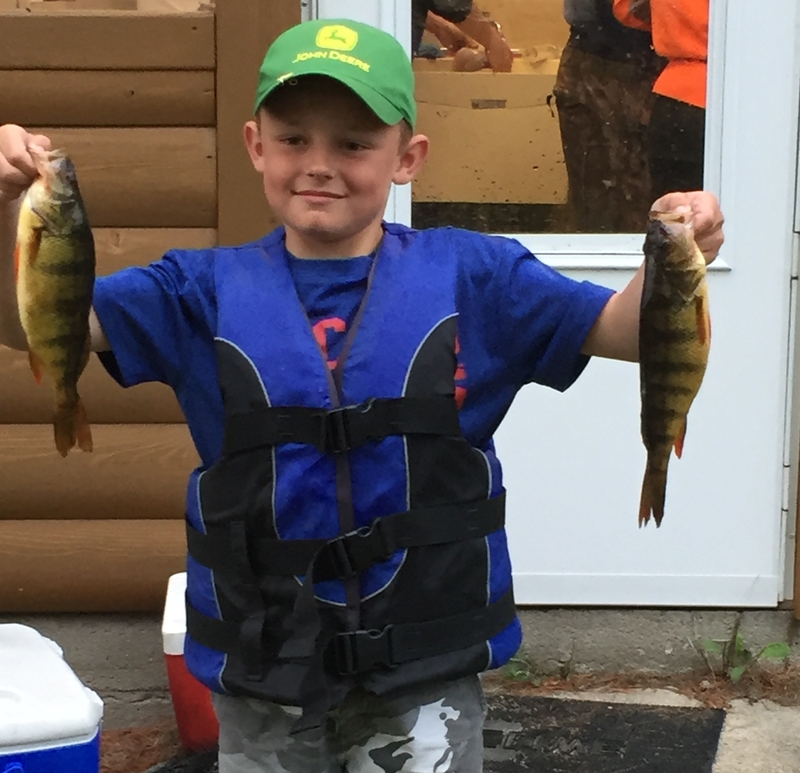 Perch are often caught along weed lines, off the dock and along shorelines.